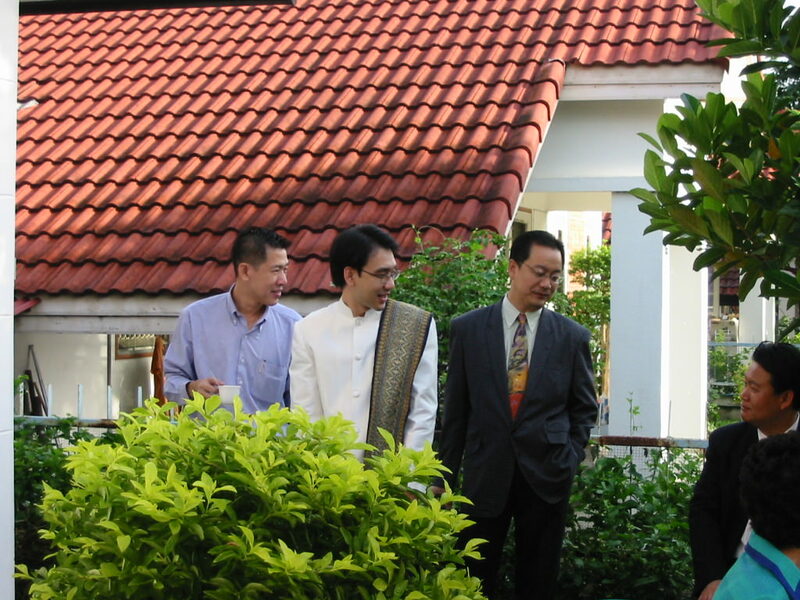 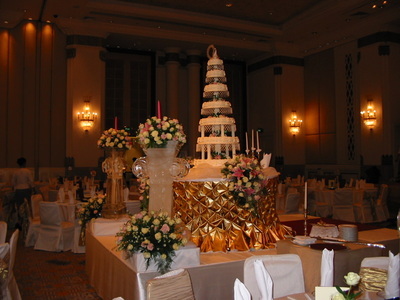 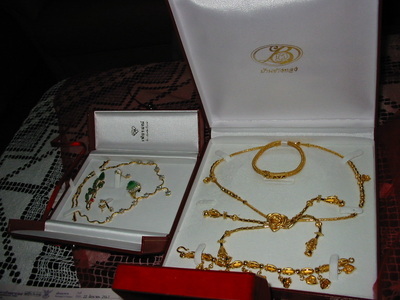 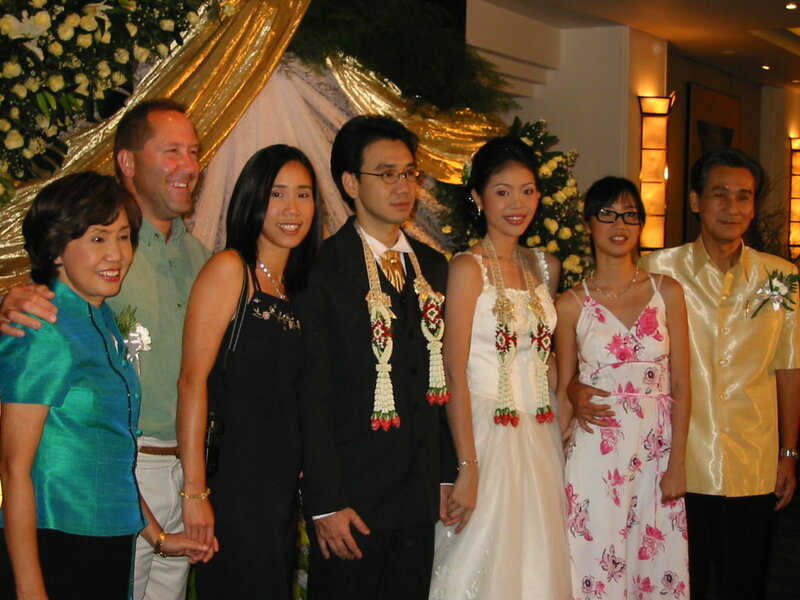 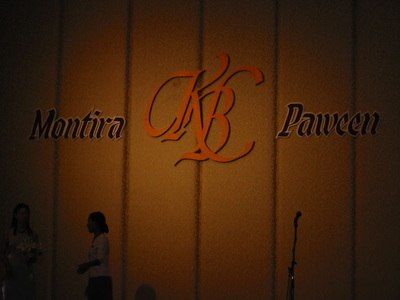 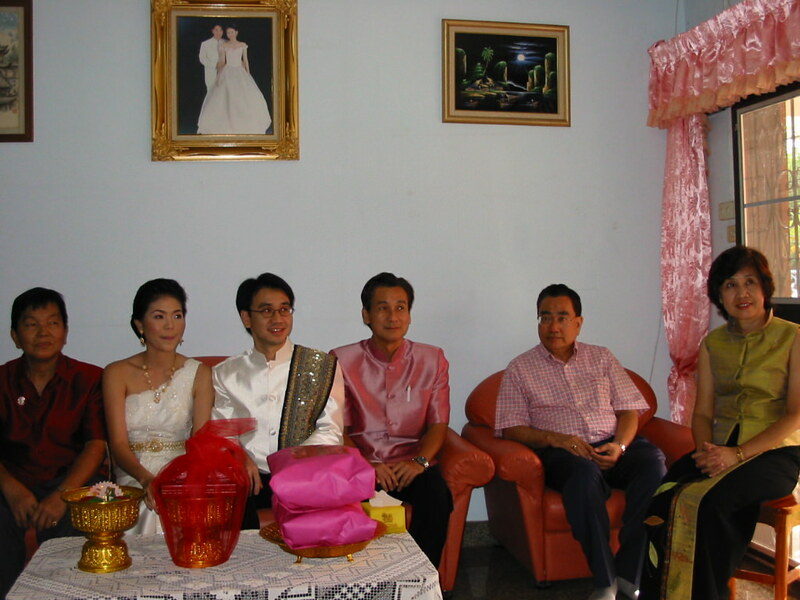 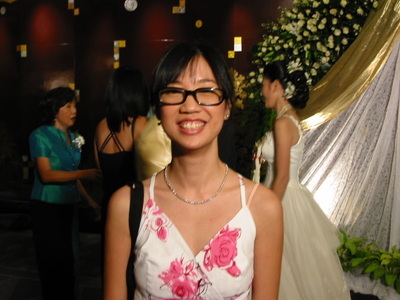 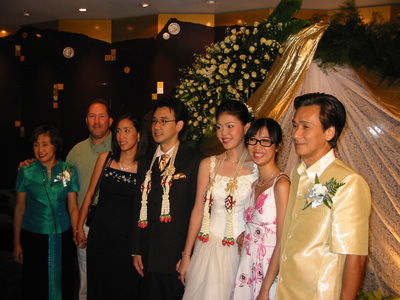 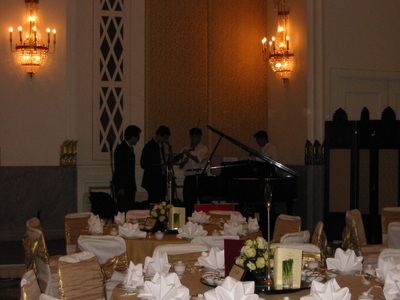 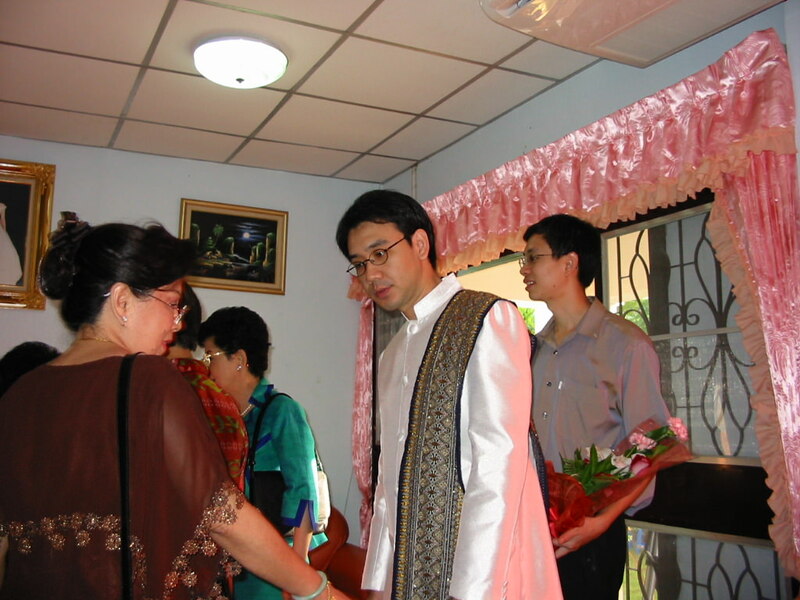 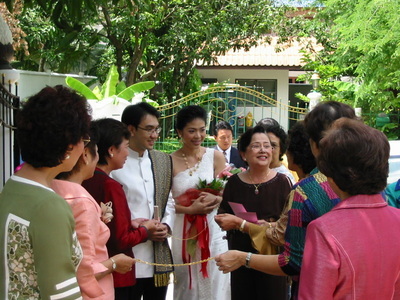 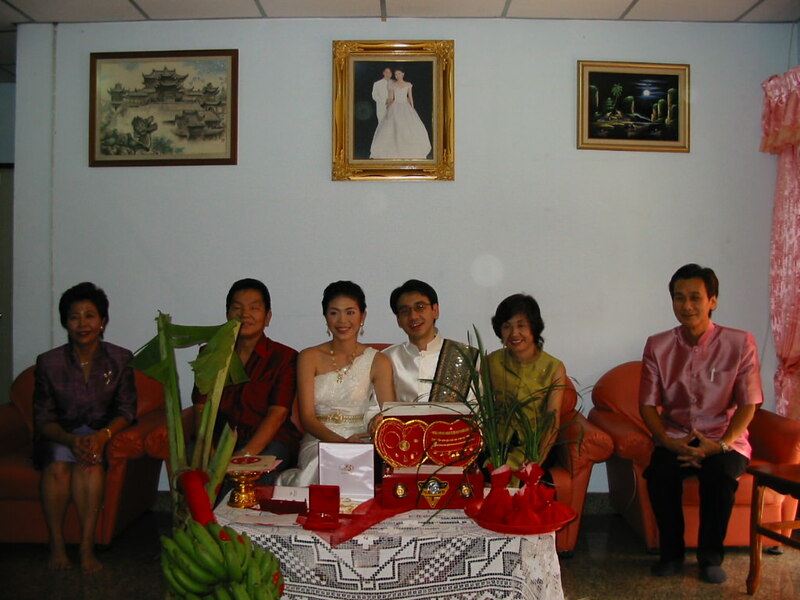 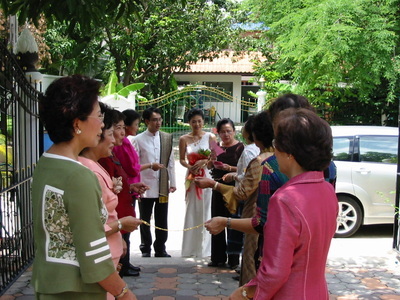 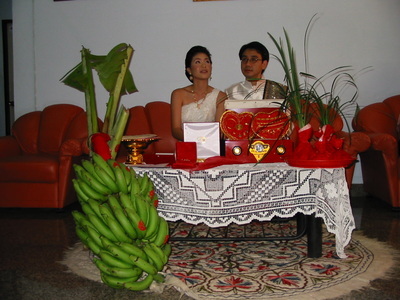 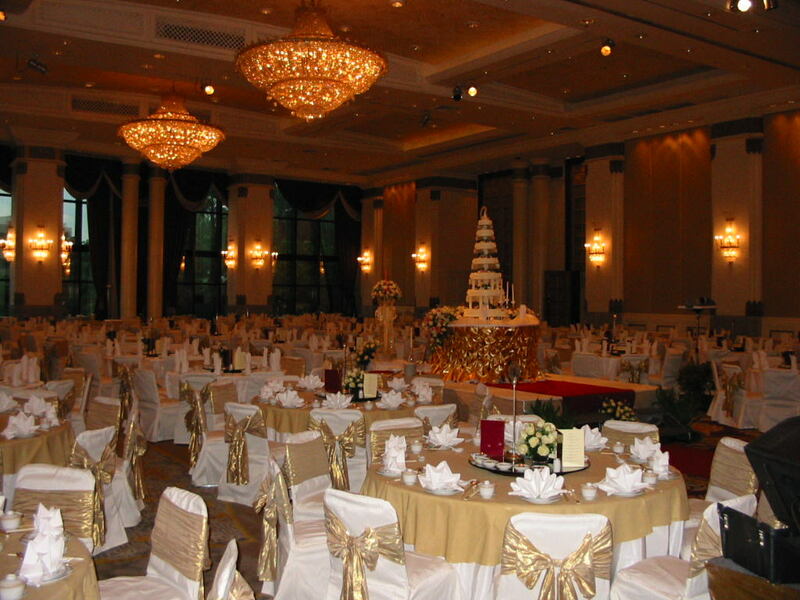 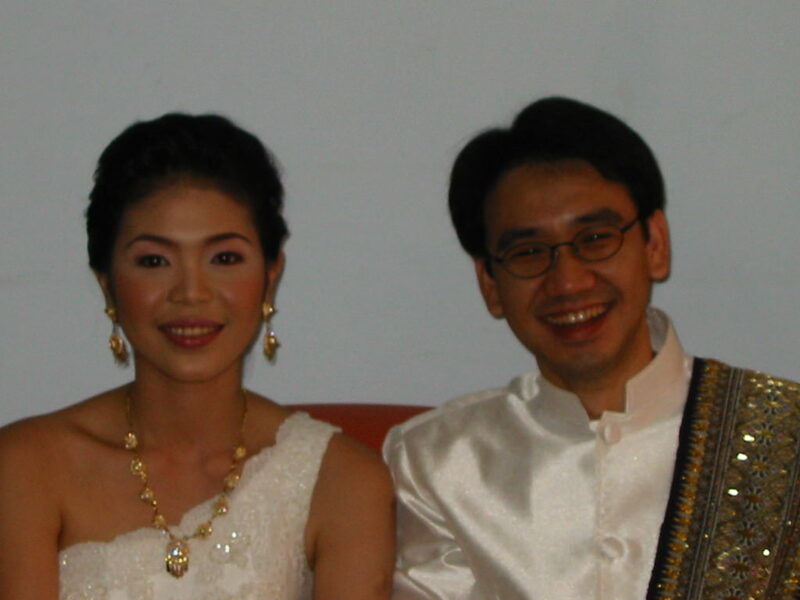 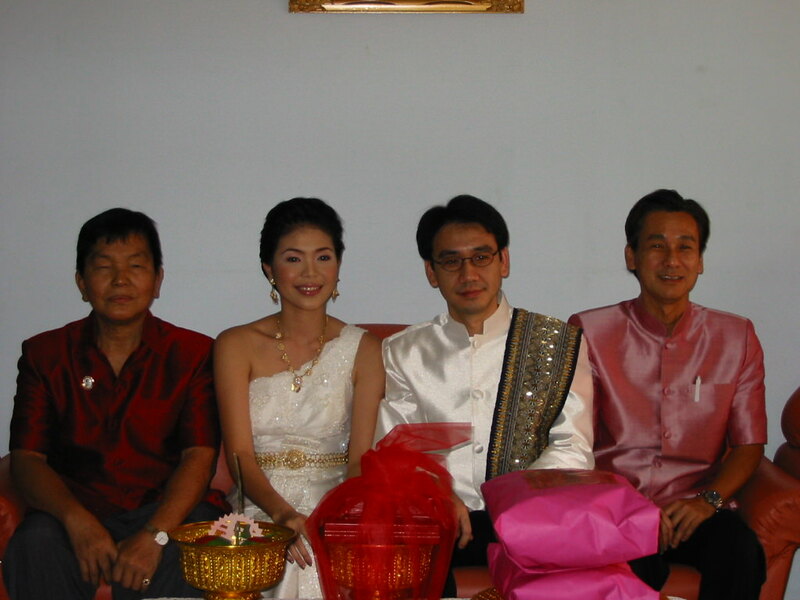 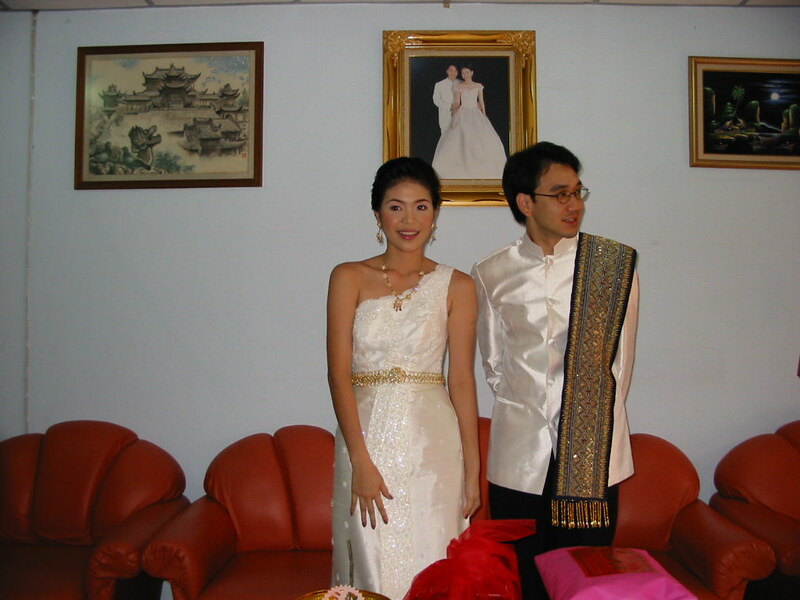 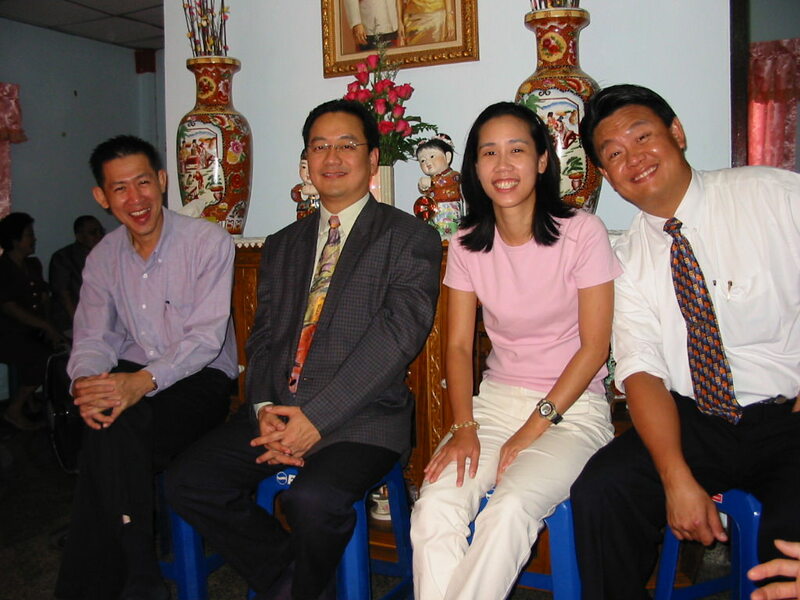 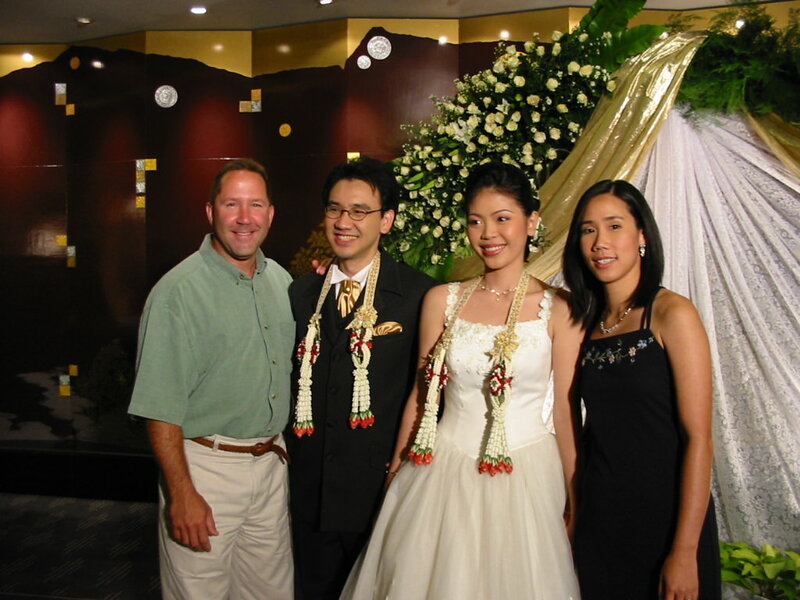 Second trip to Thailand was mainly to attend my brother-in-law's wedding reception. 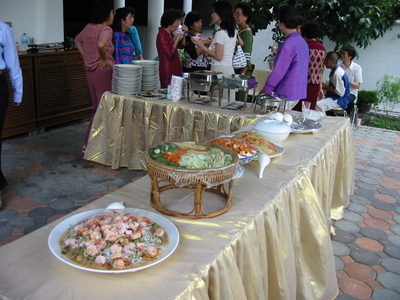 Of course the folks took us all over afterwards. 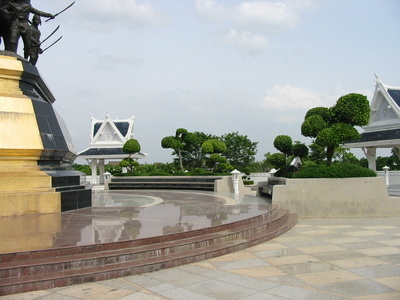 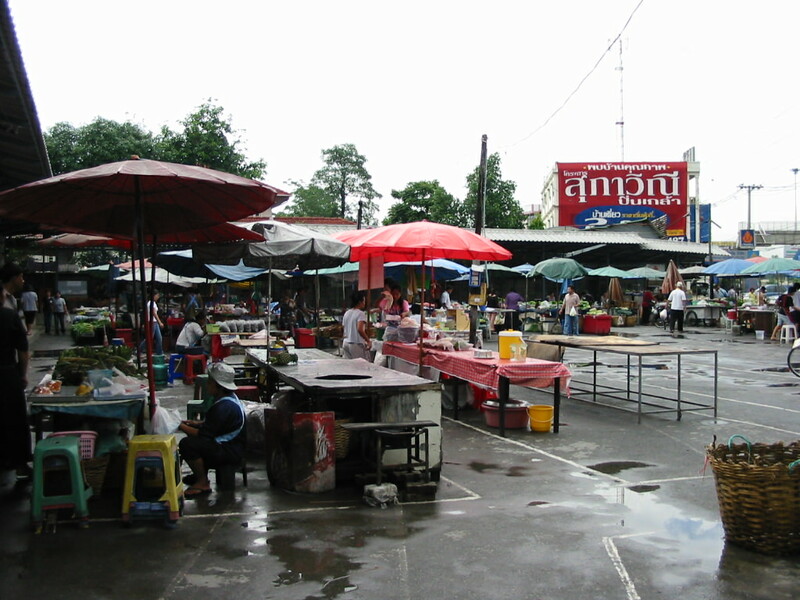 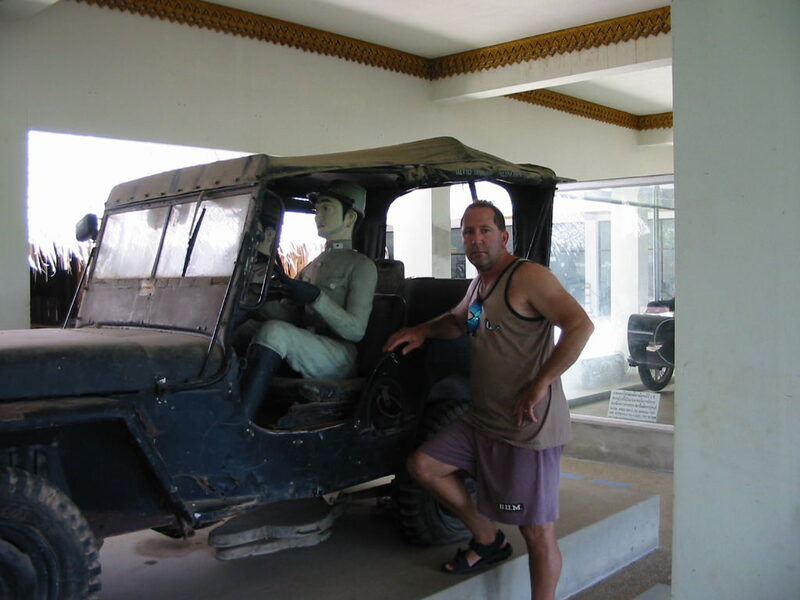 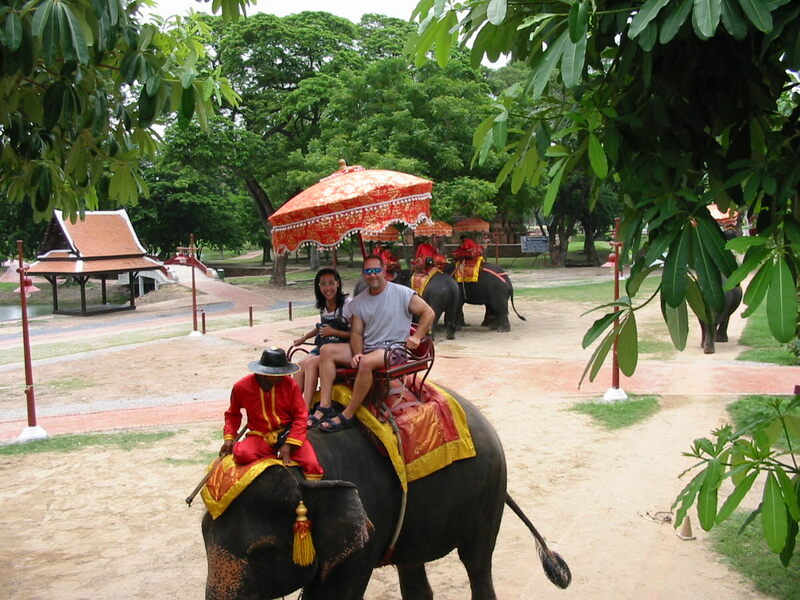 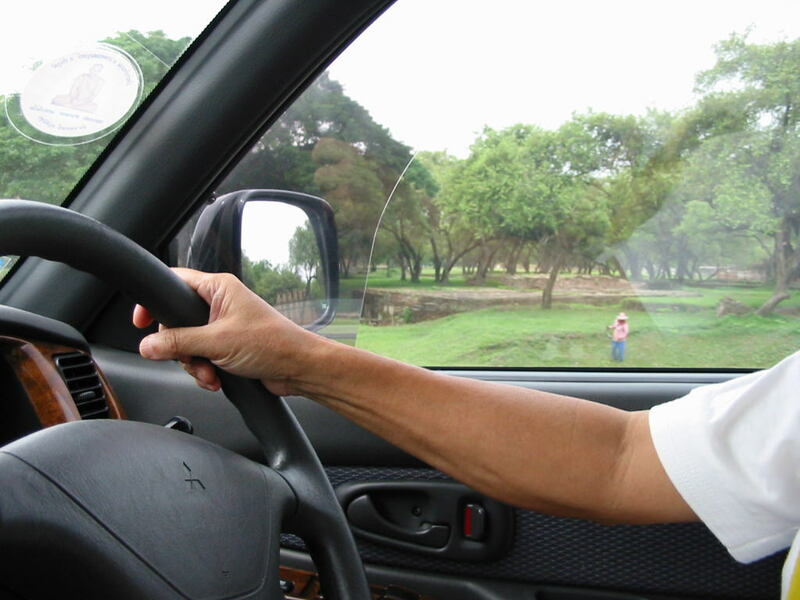 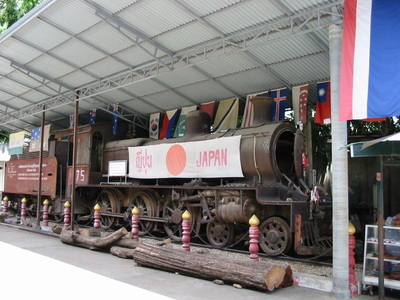 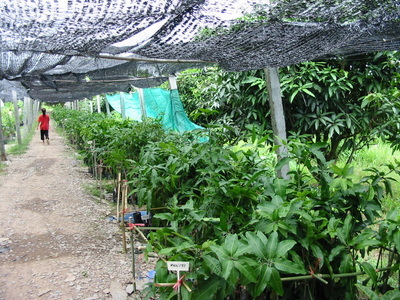 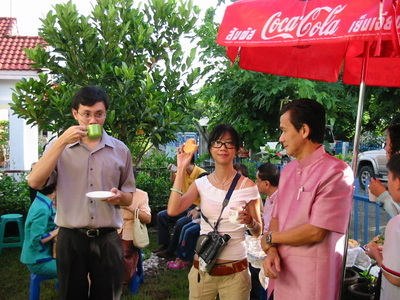 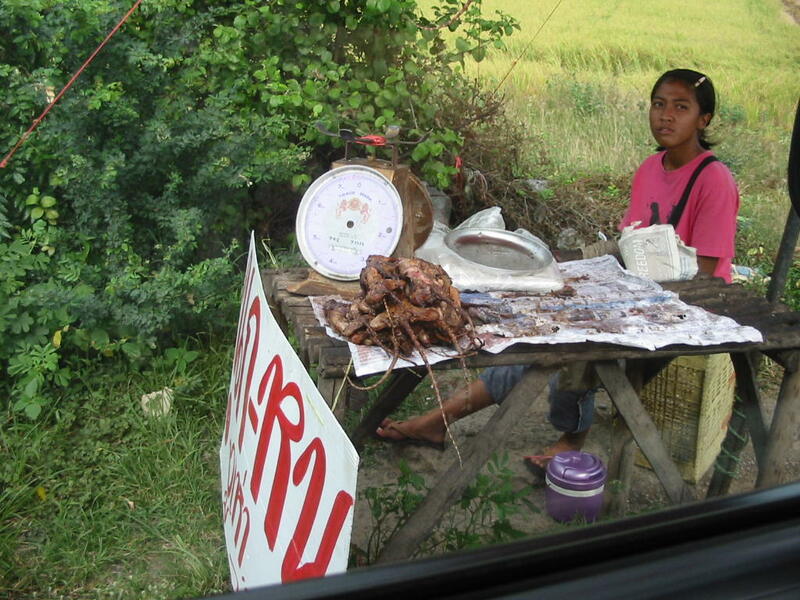 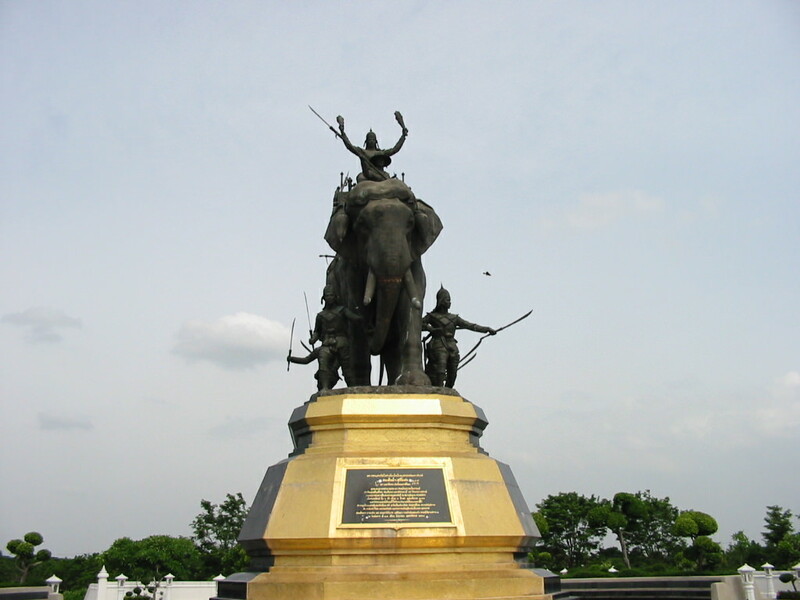 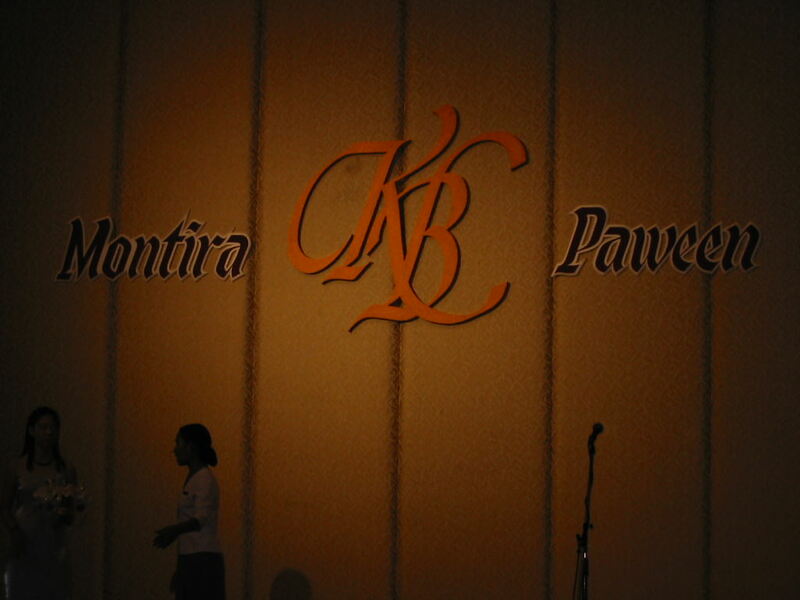 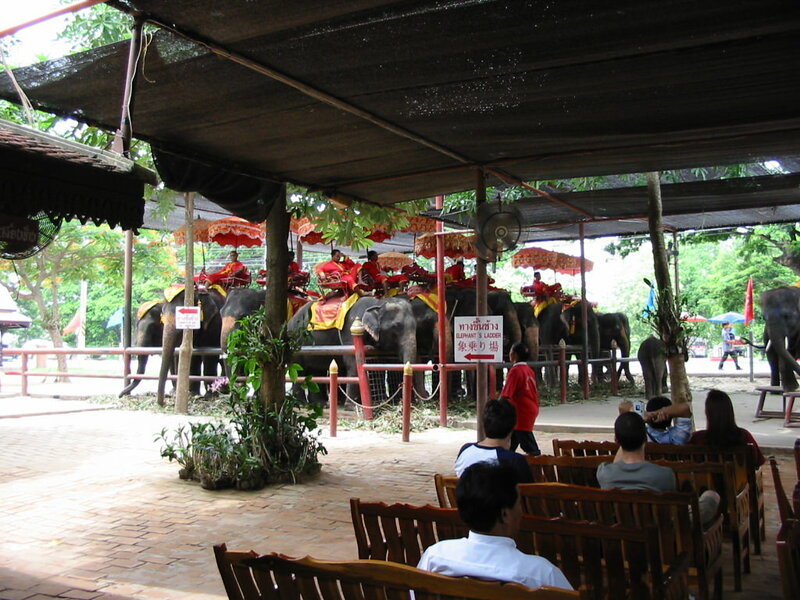 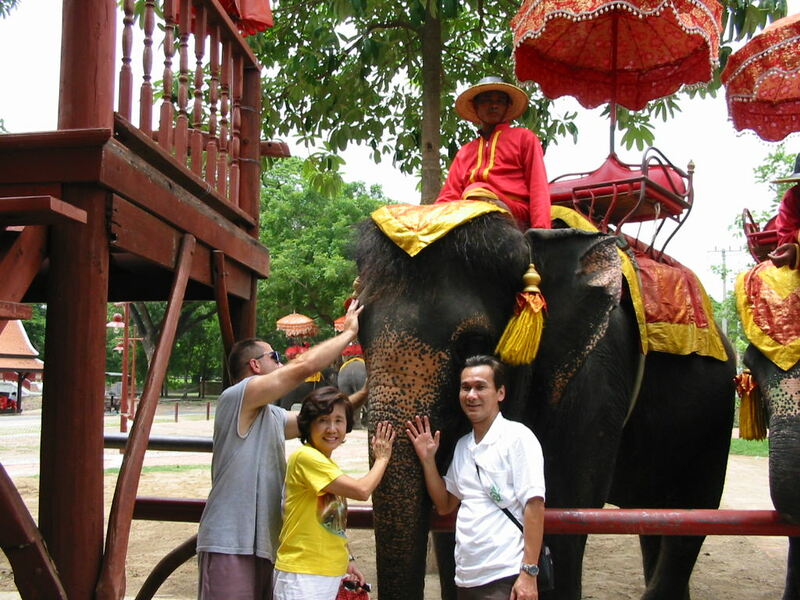 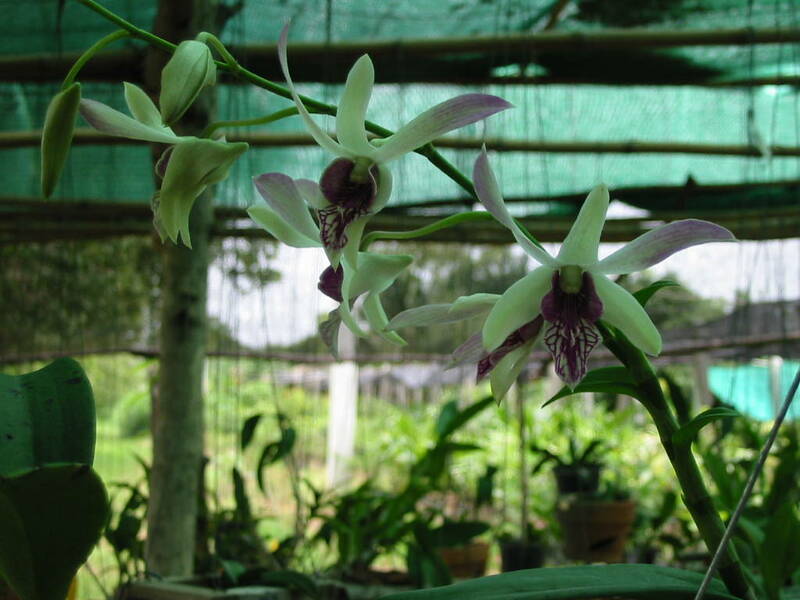 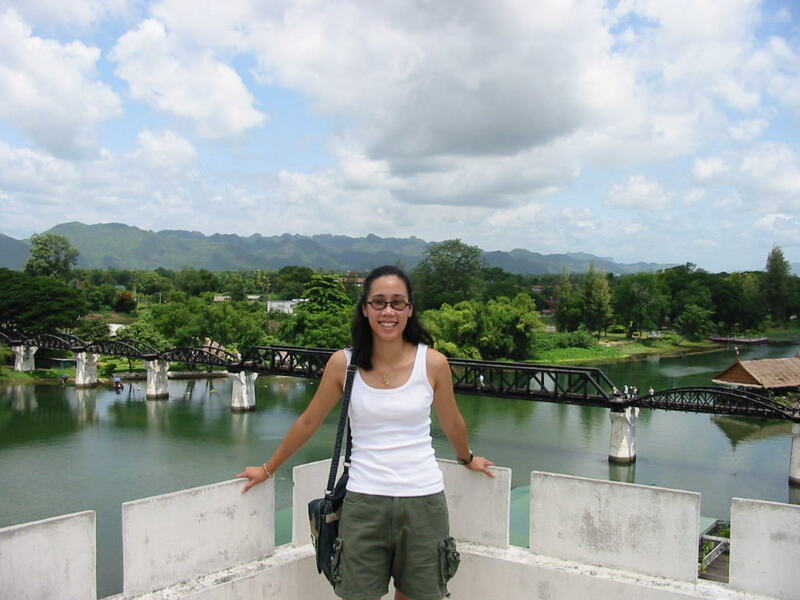 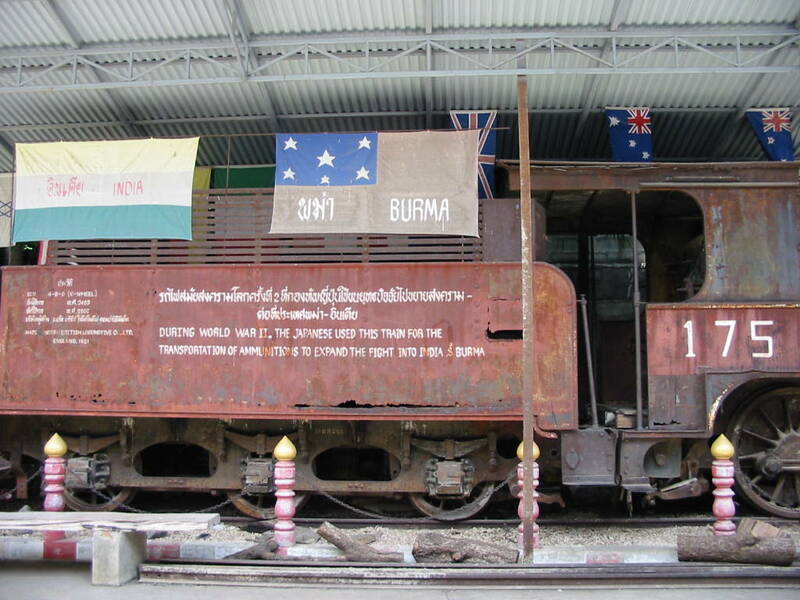 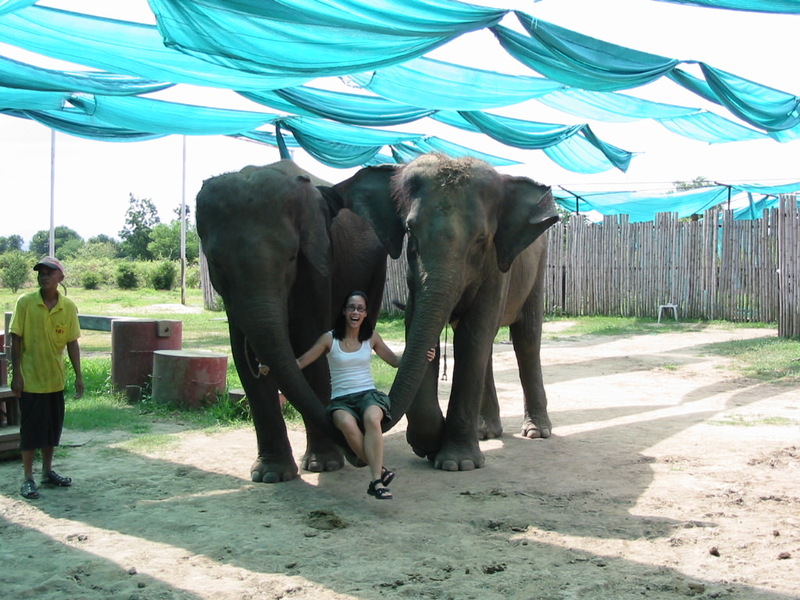 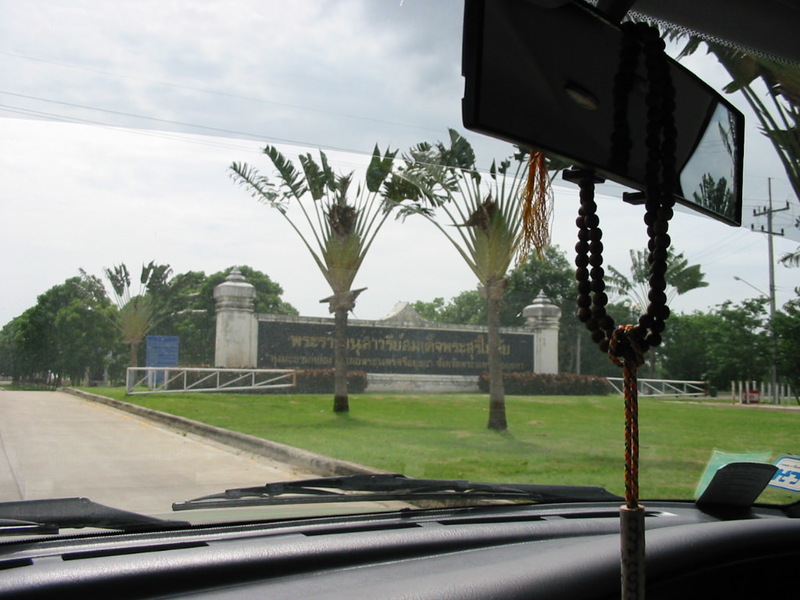 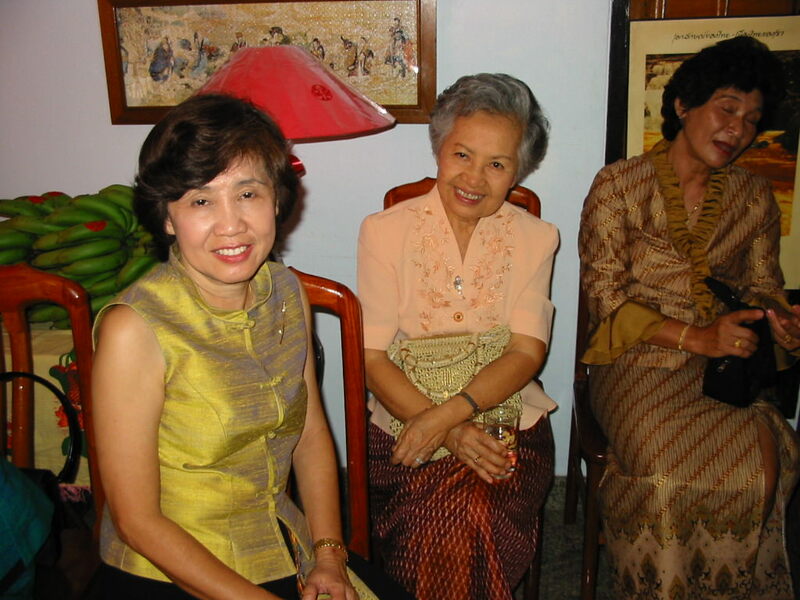 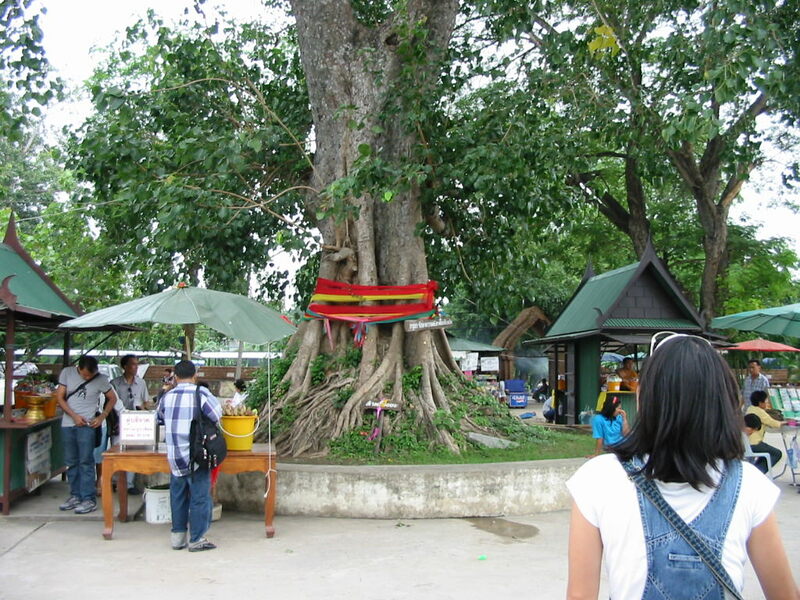 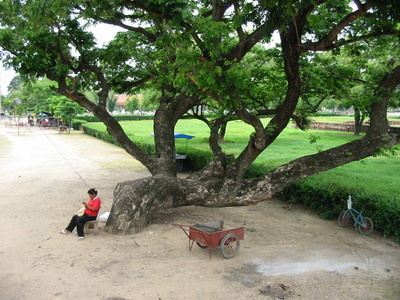 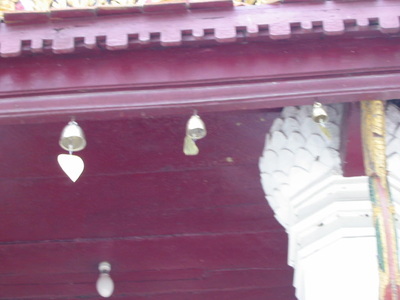 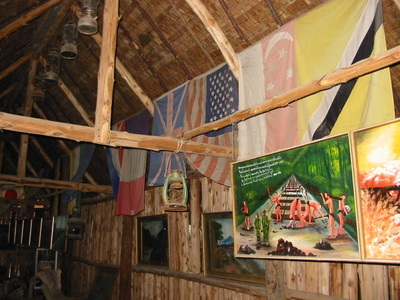 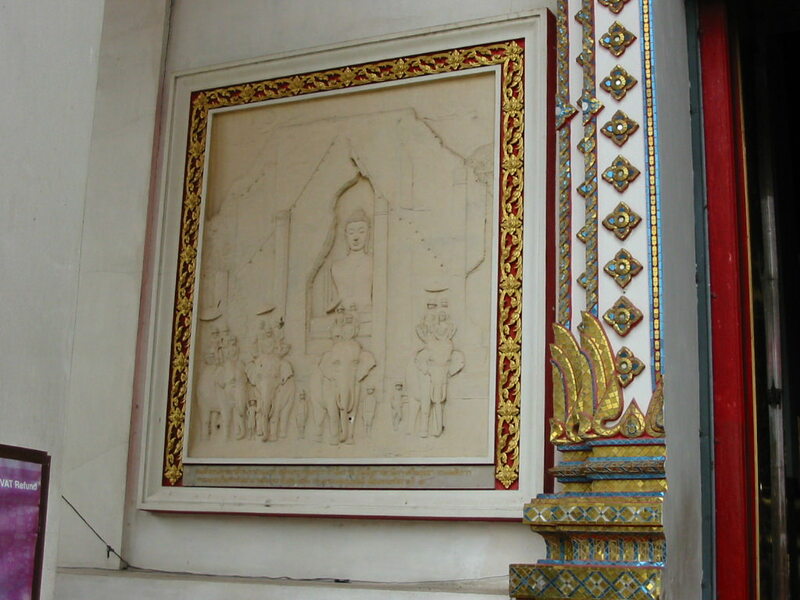 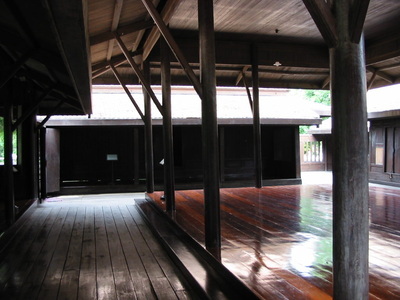 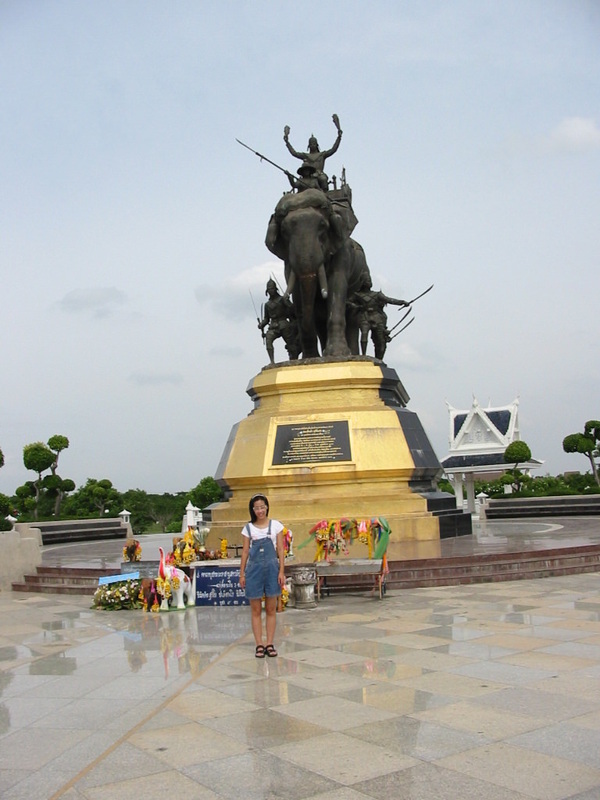 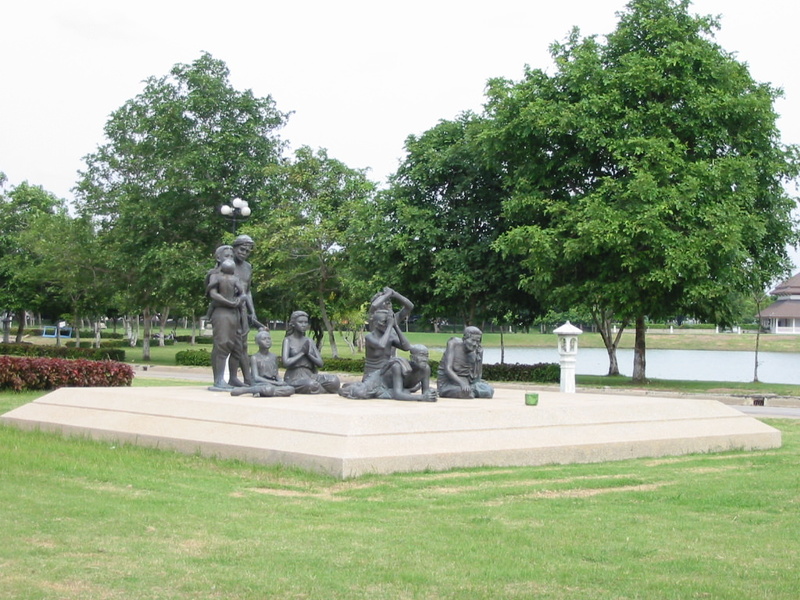 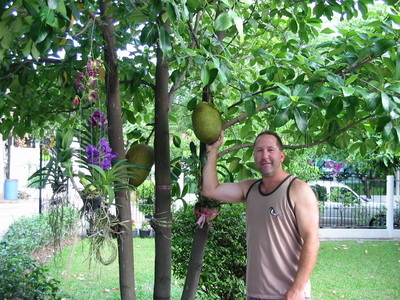 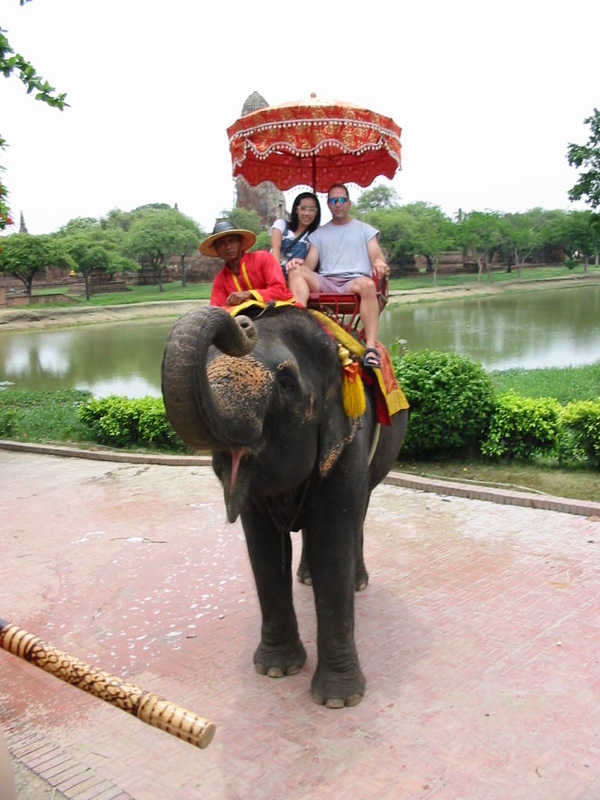 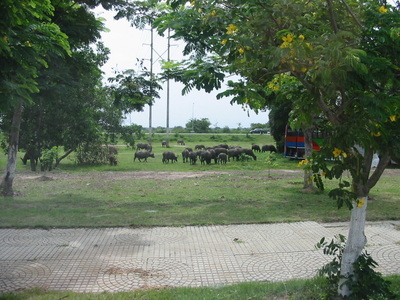 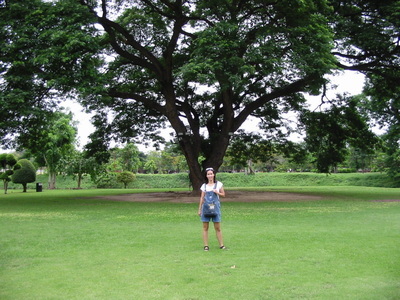 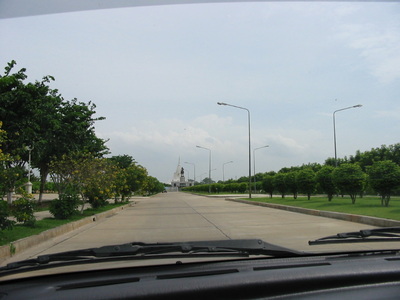 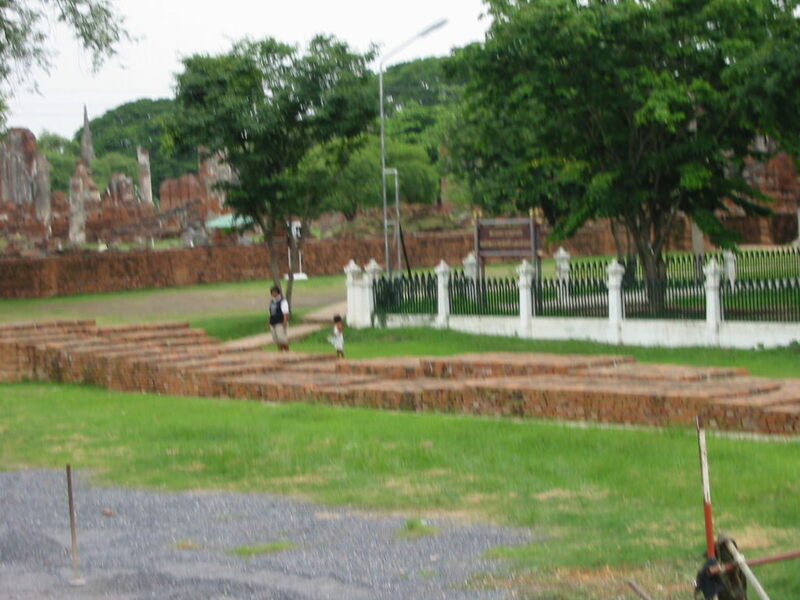 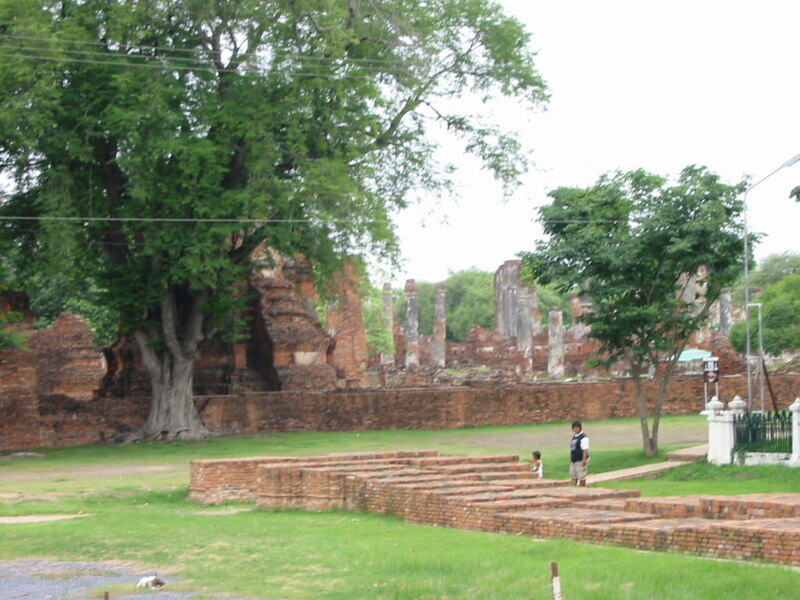 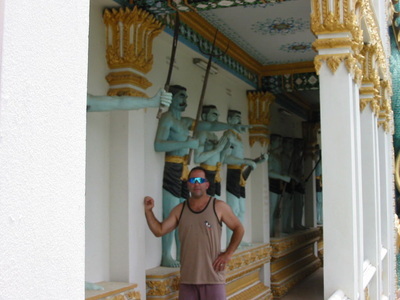 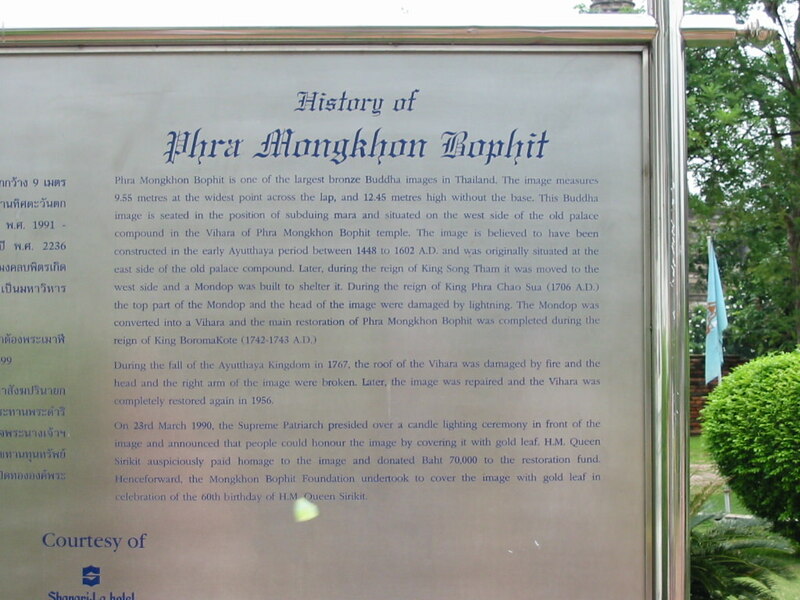 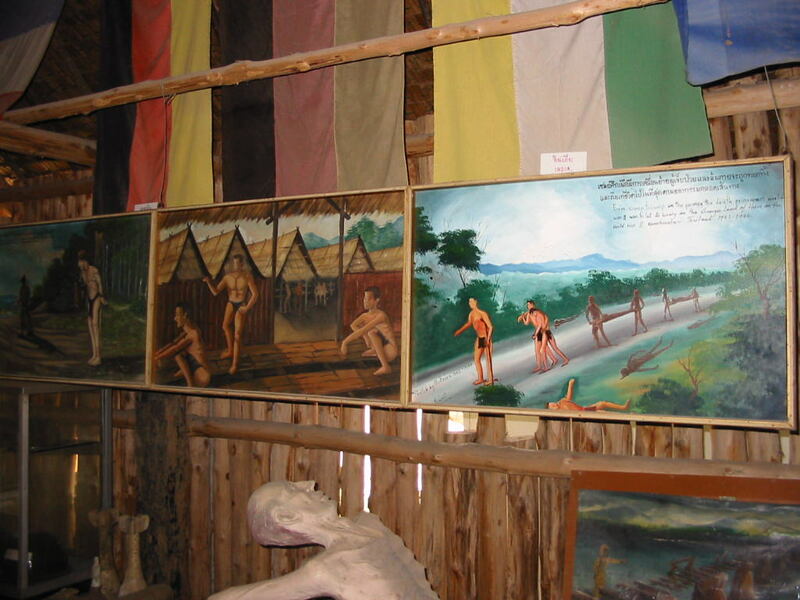 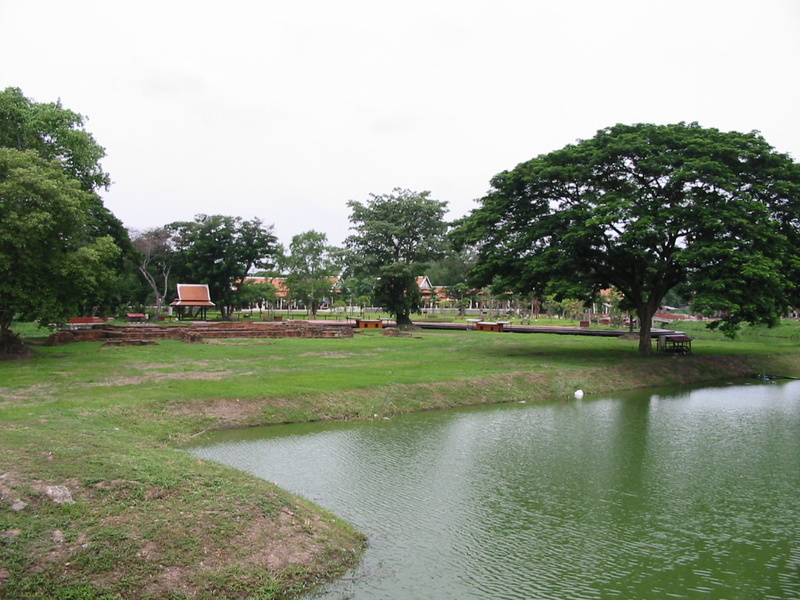 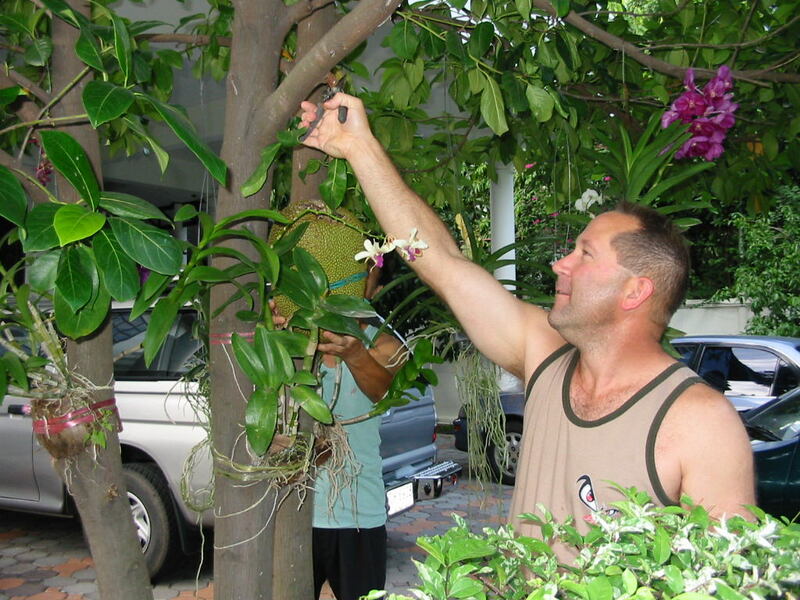 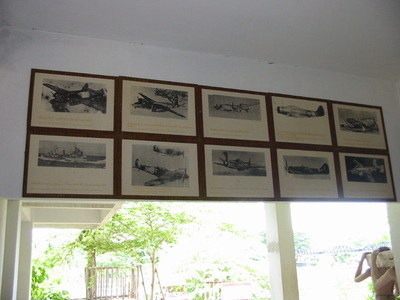 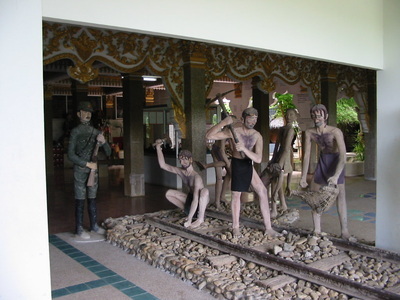 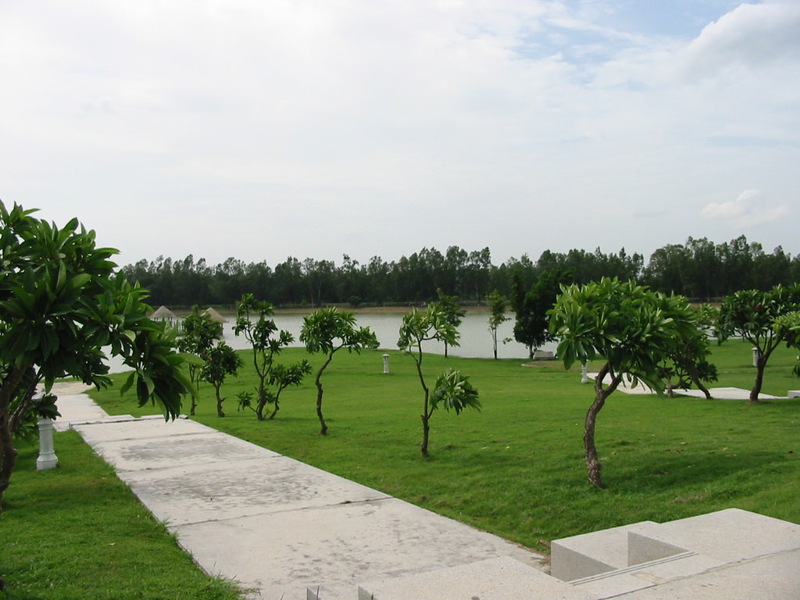 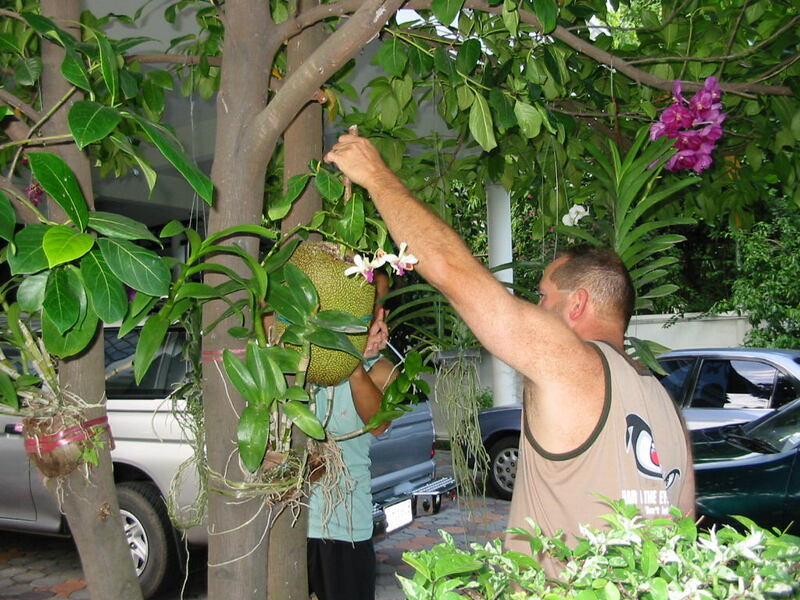 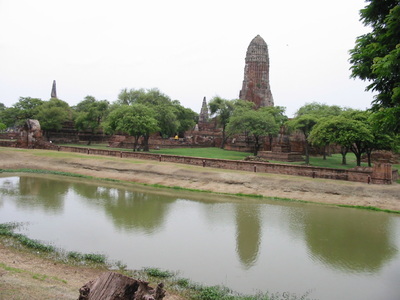 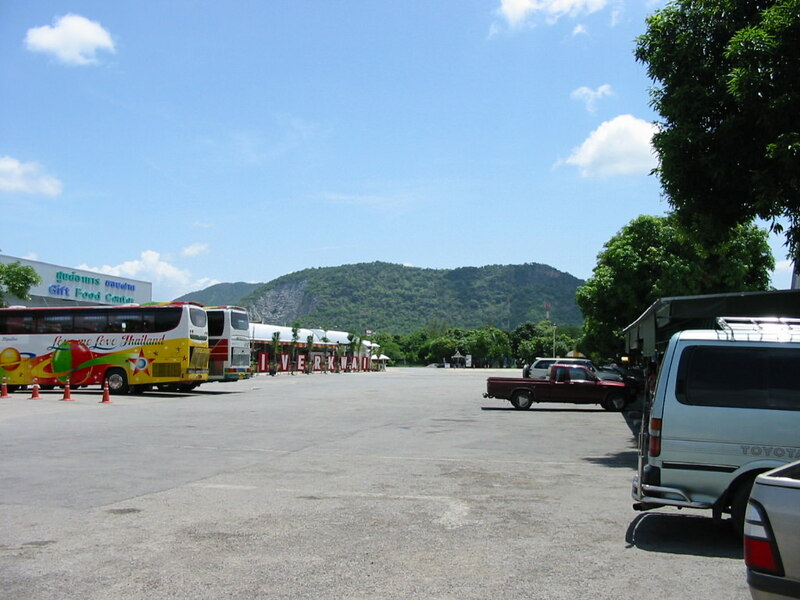 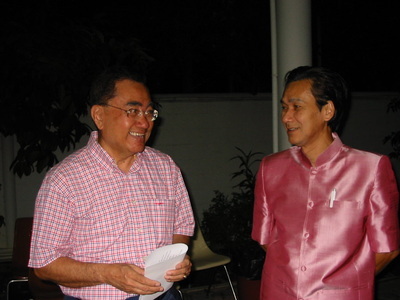 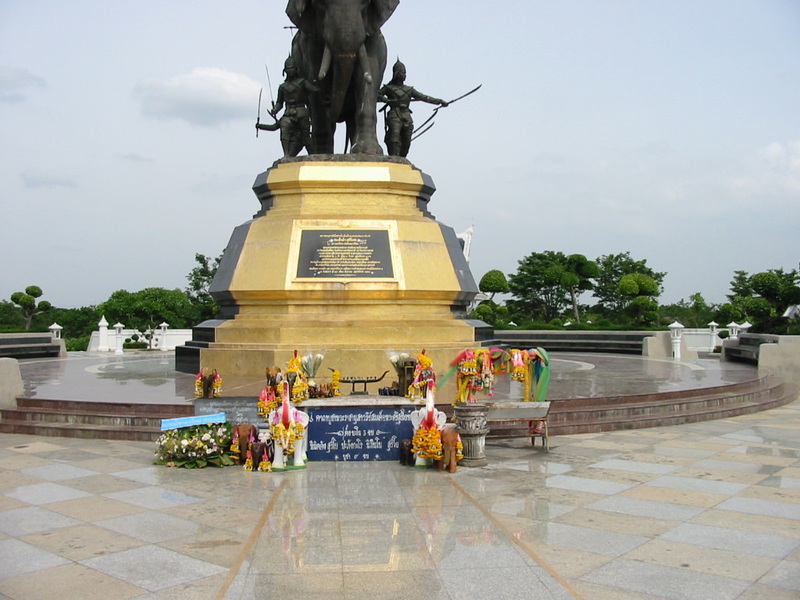 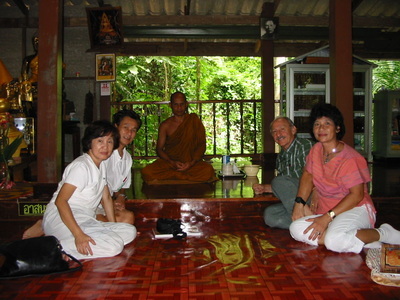 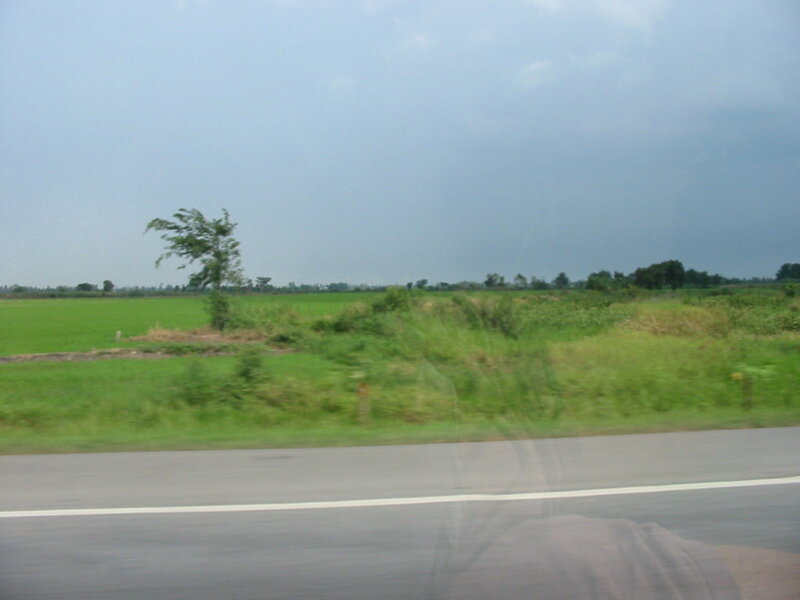 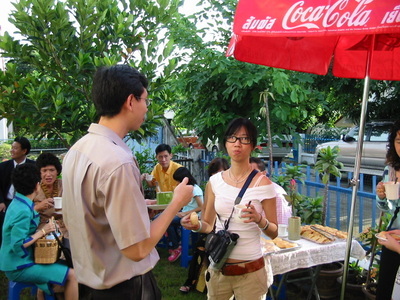 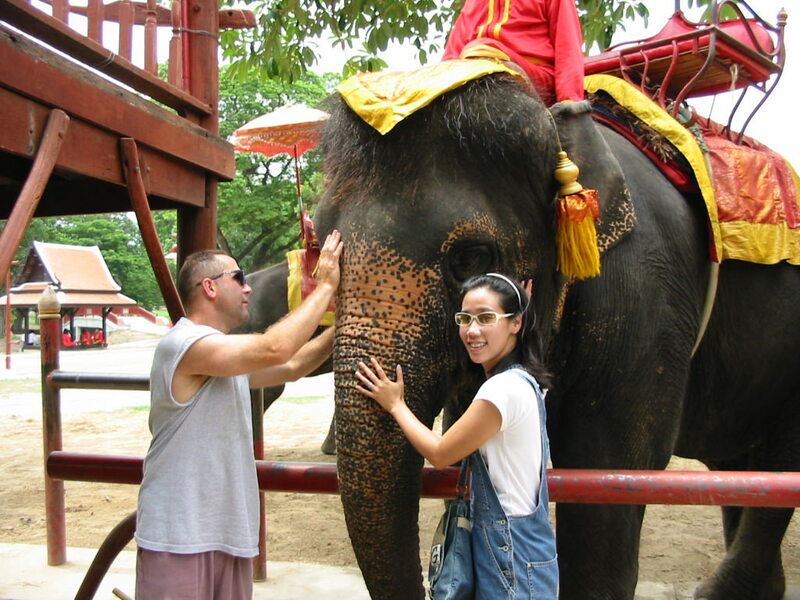 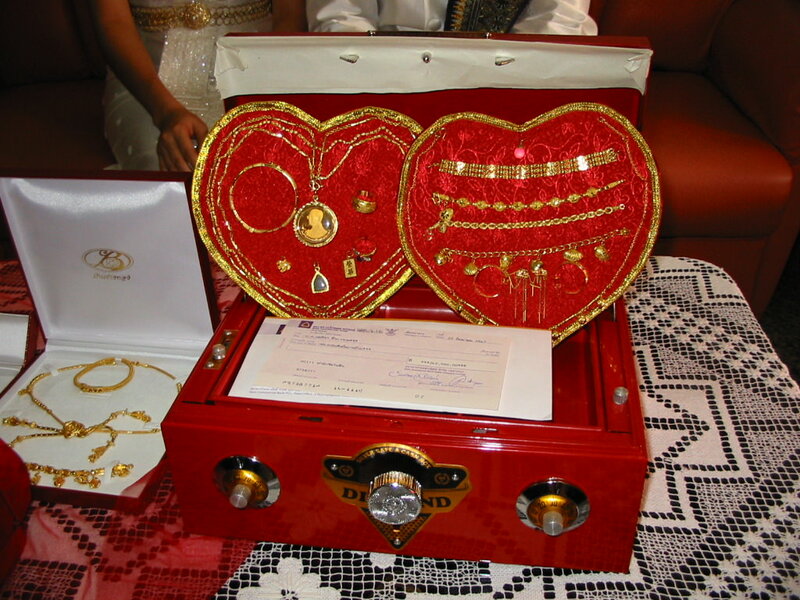 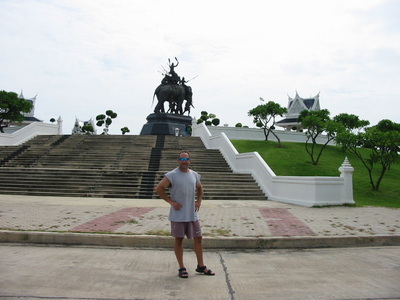 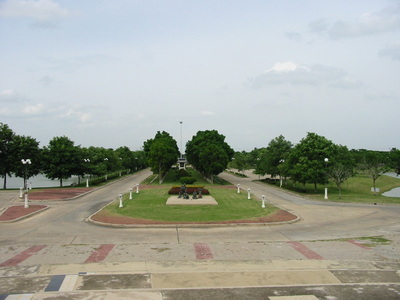 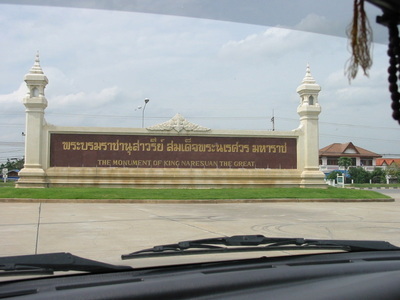 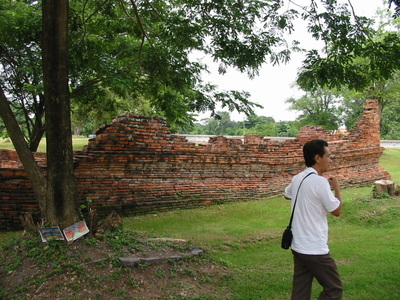 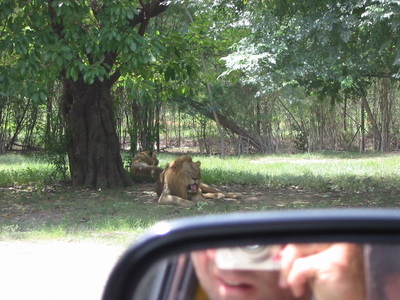 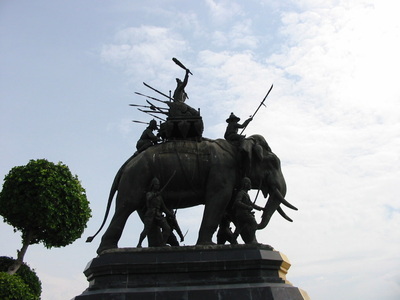 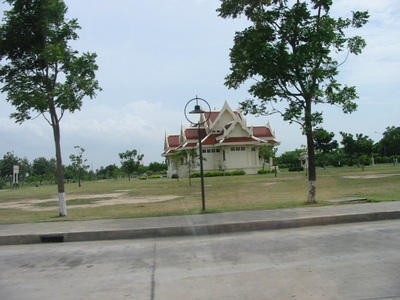 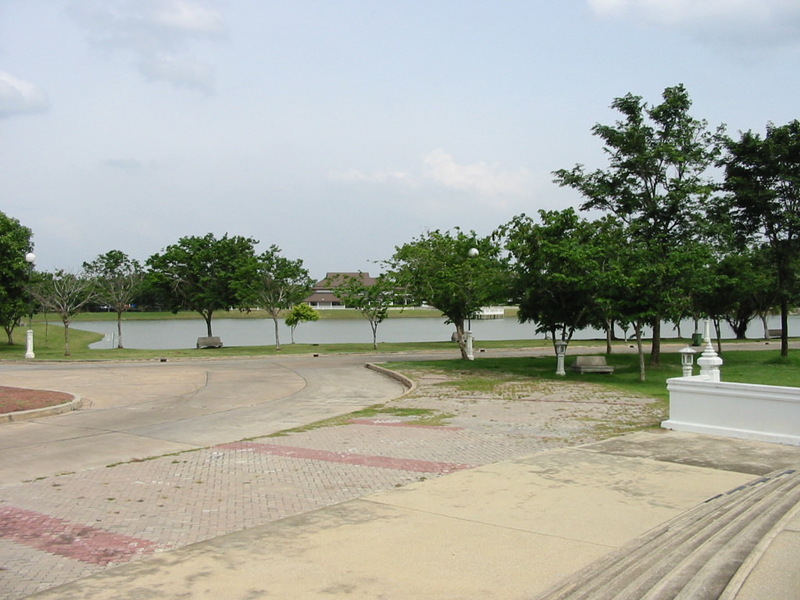 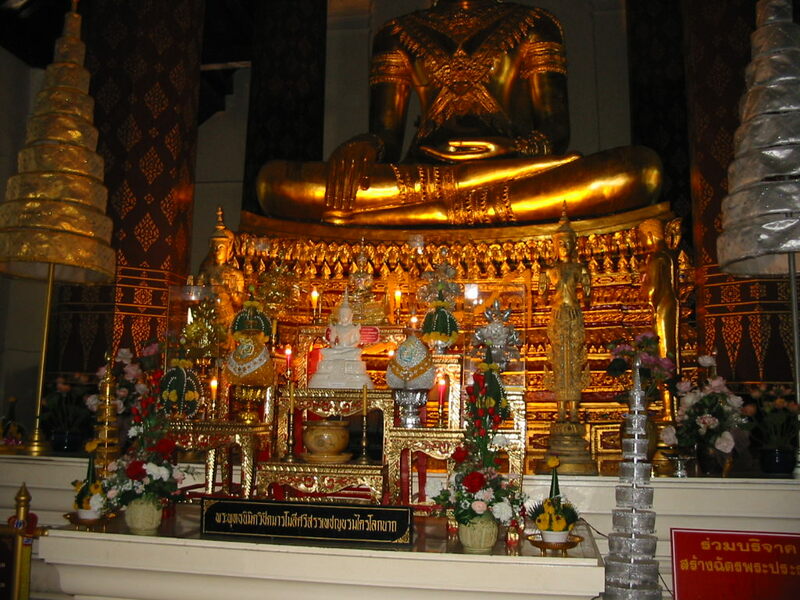 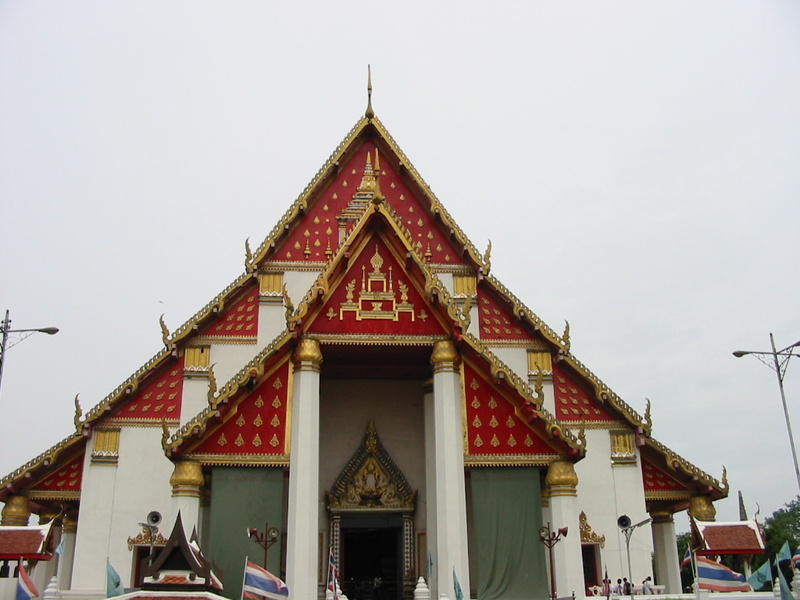 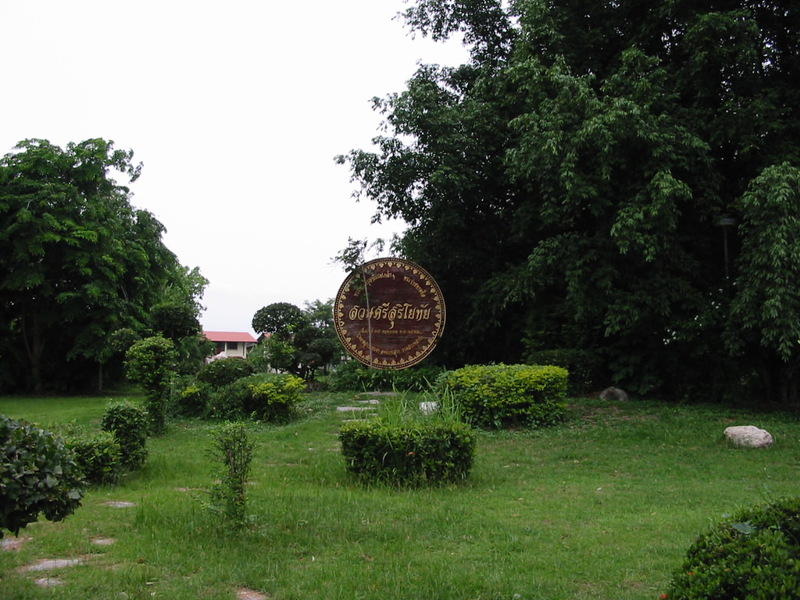 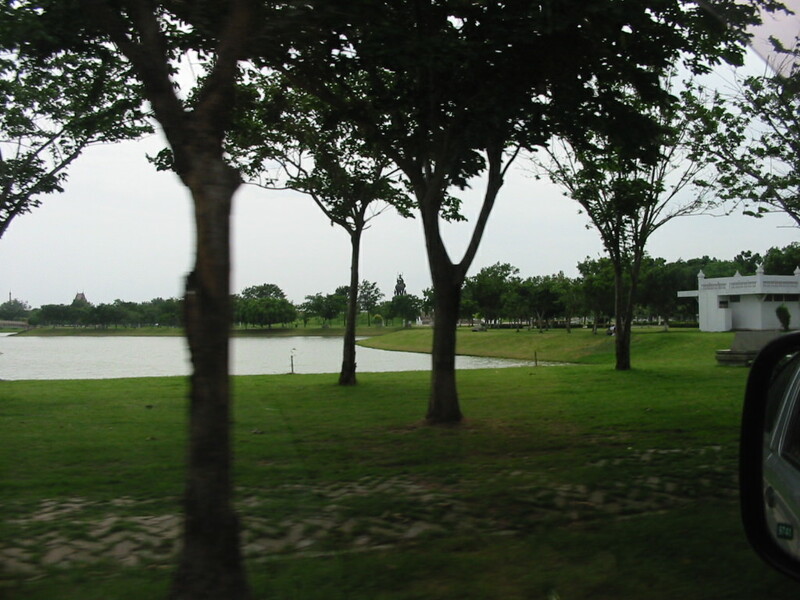 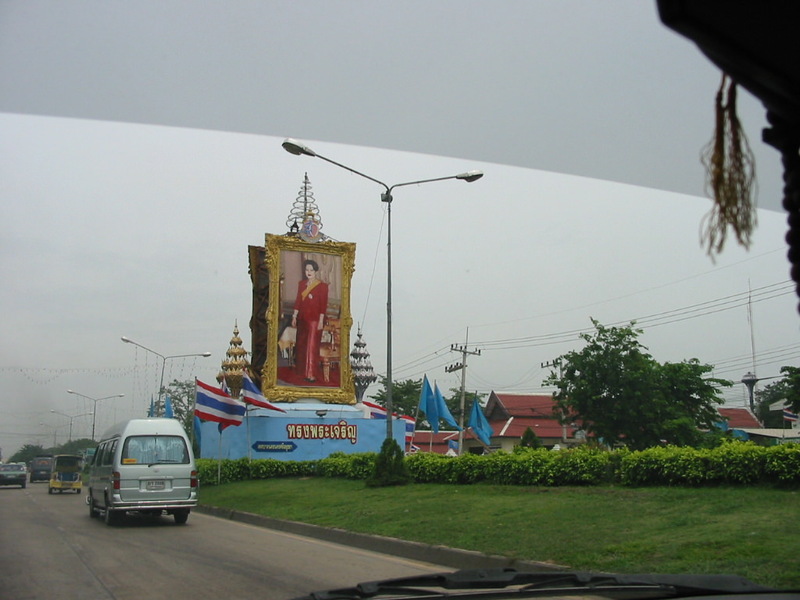 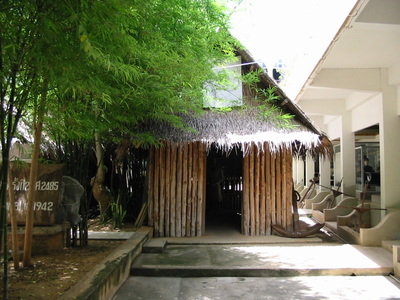 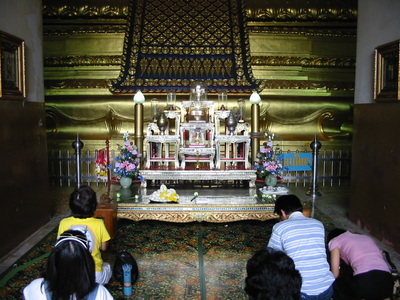 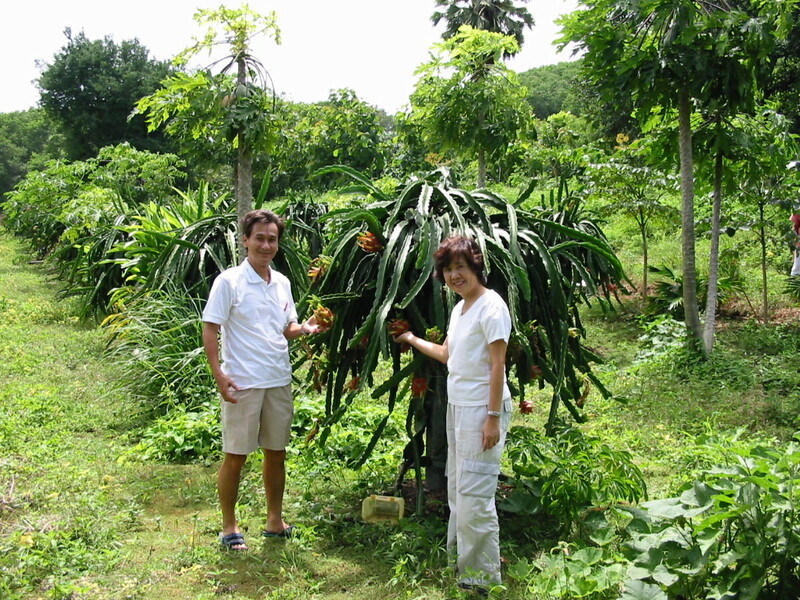 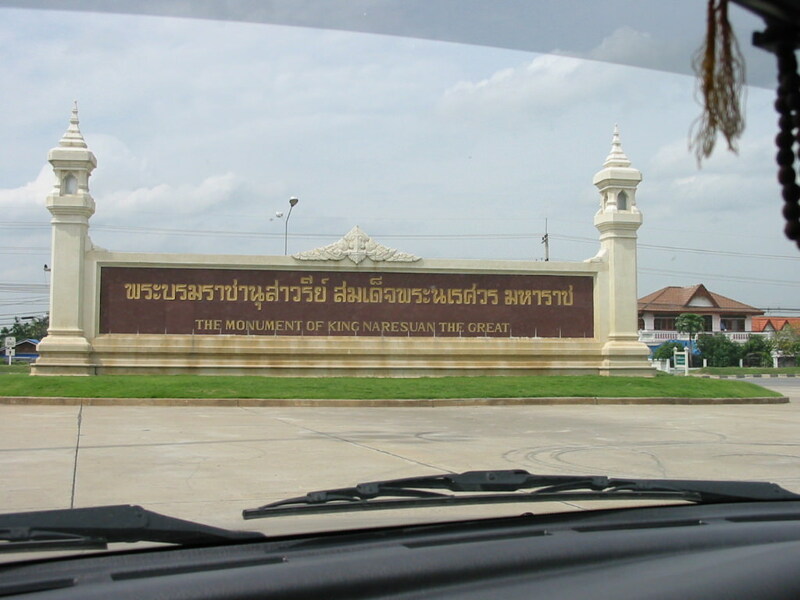 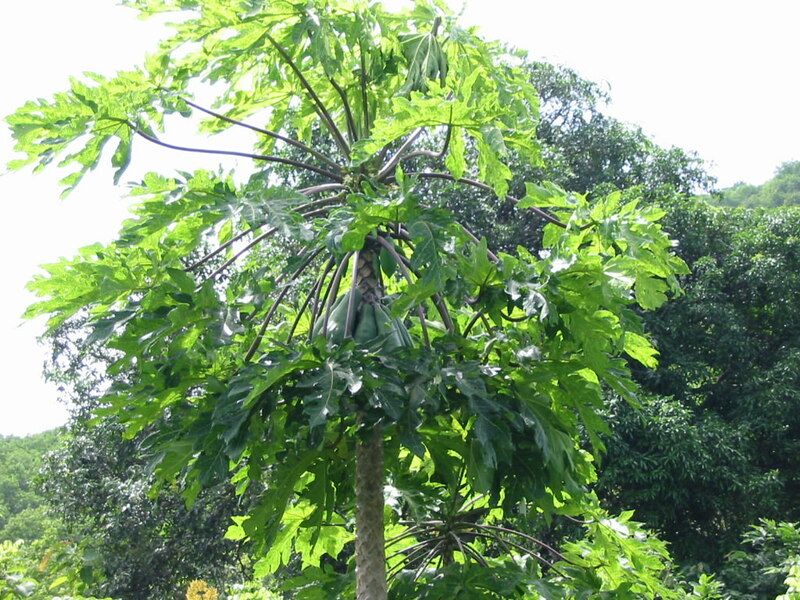 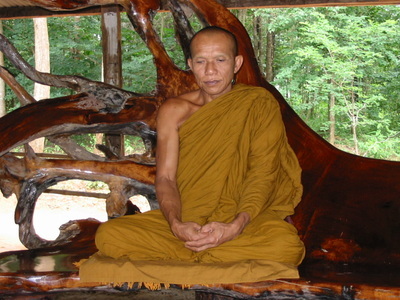 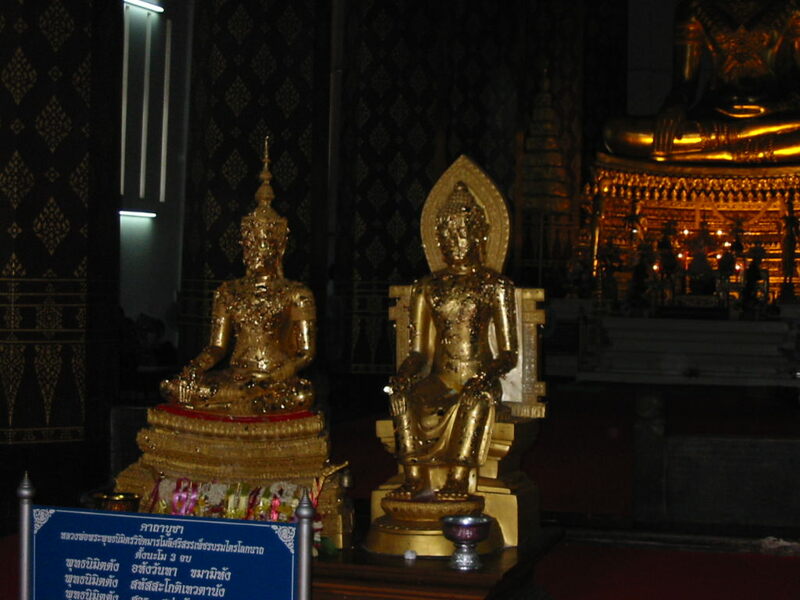 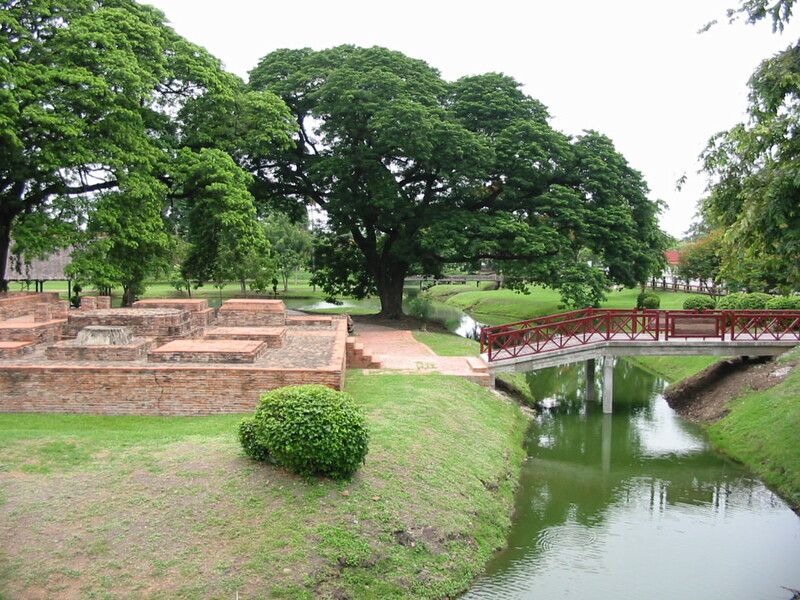 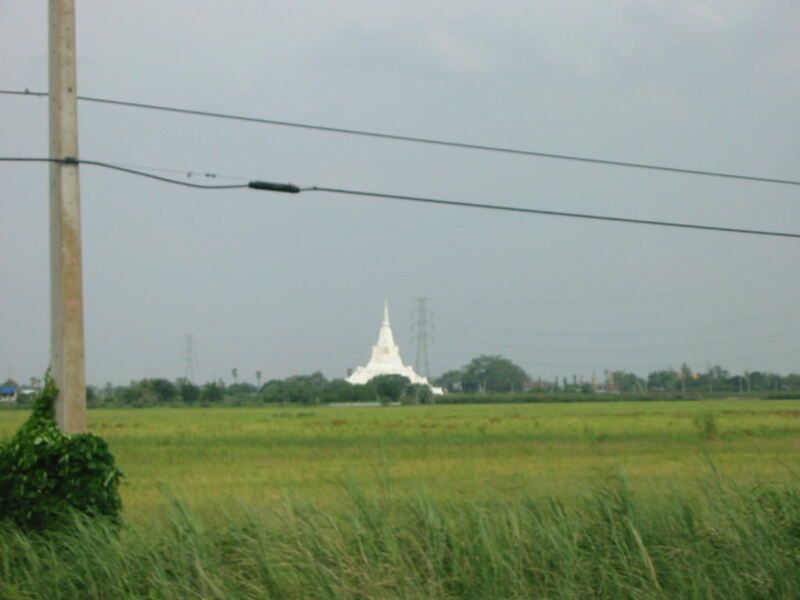 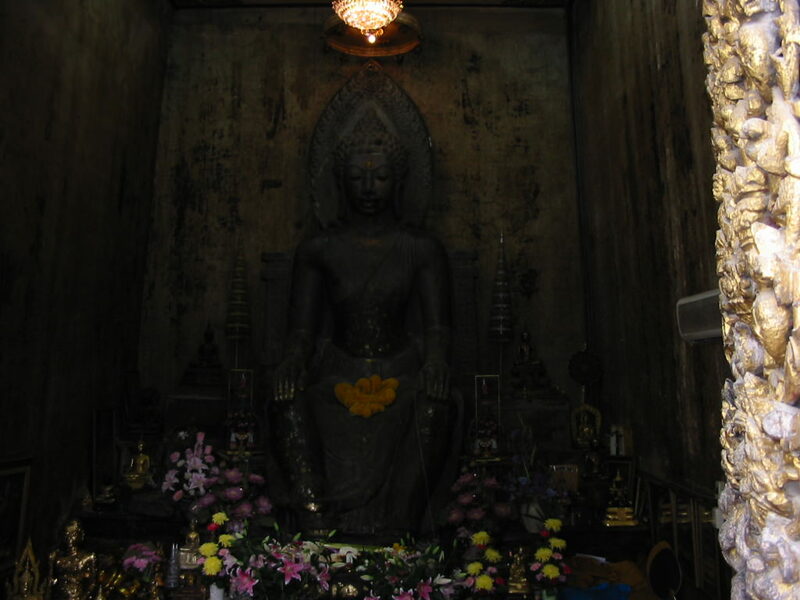 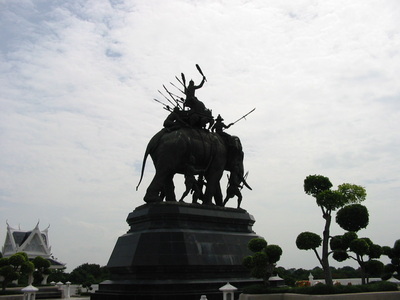 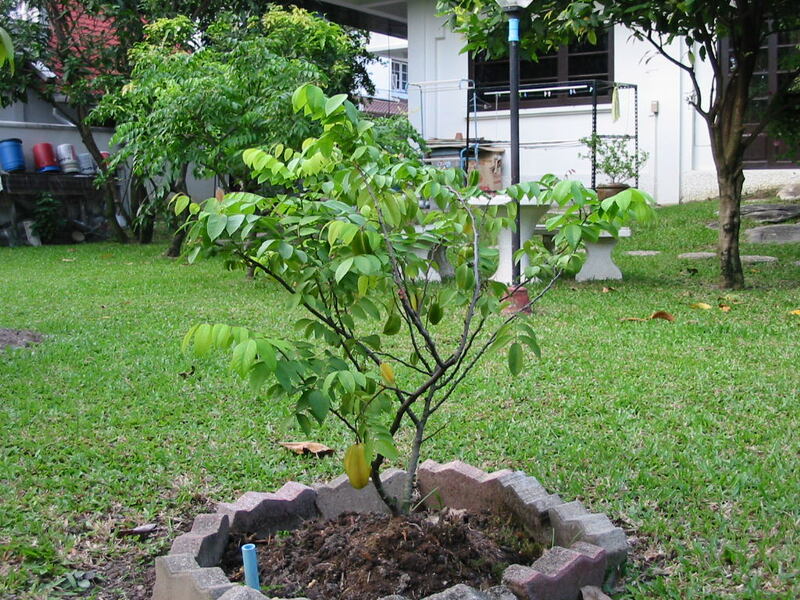 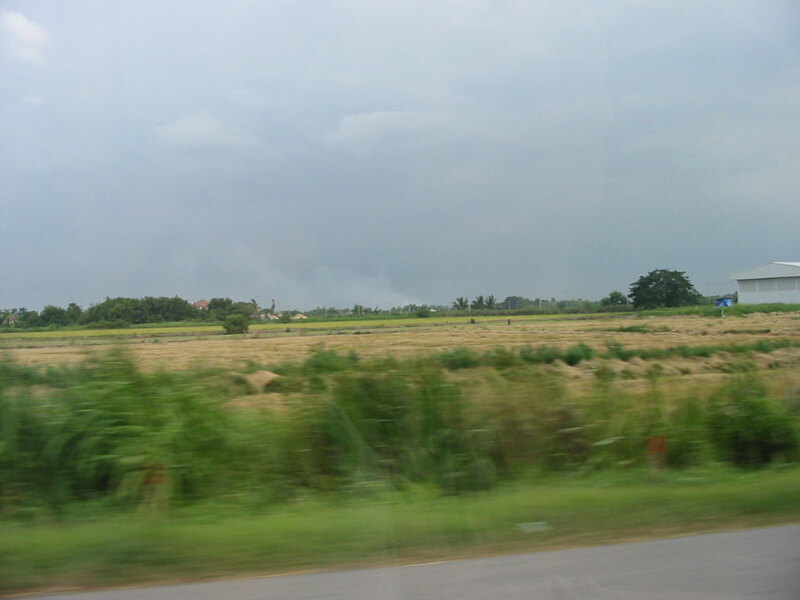 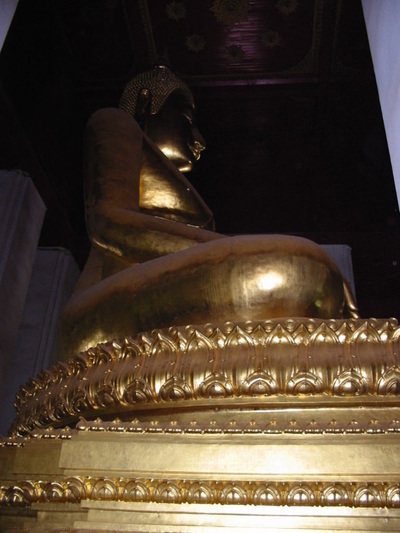 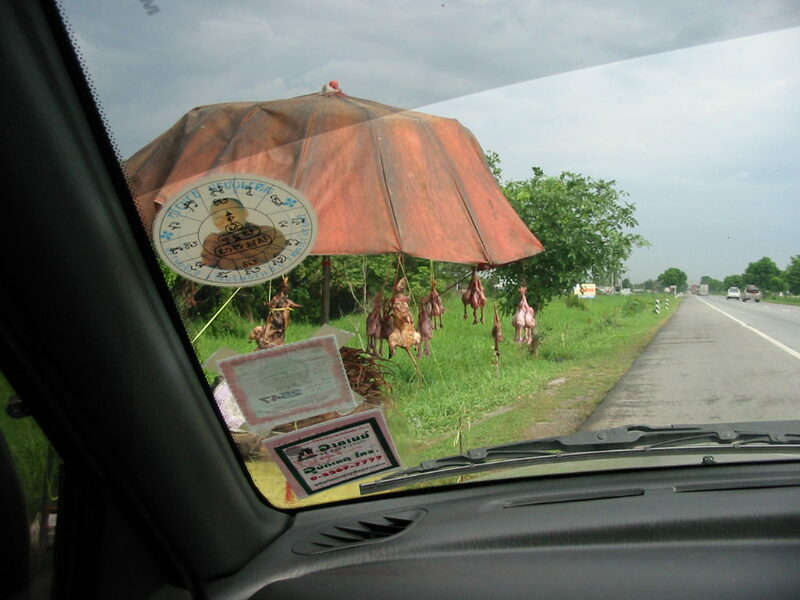 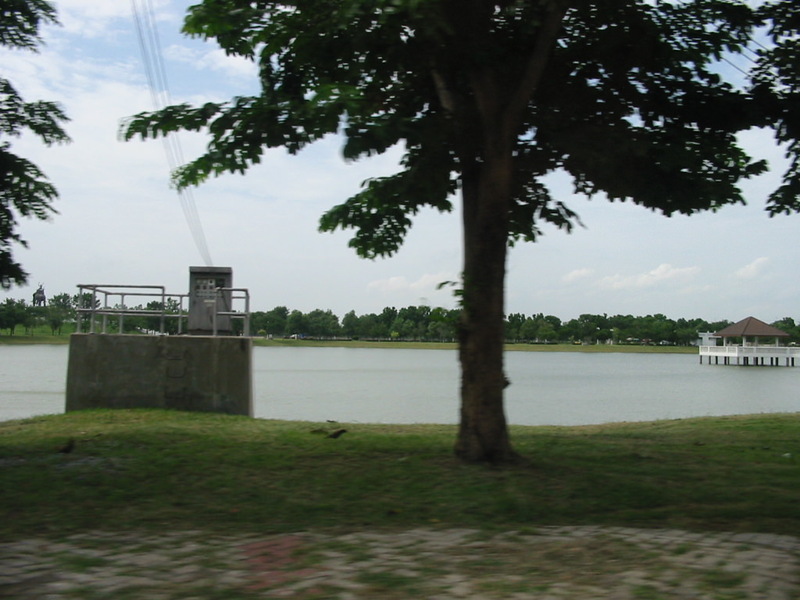 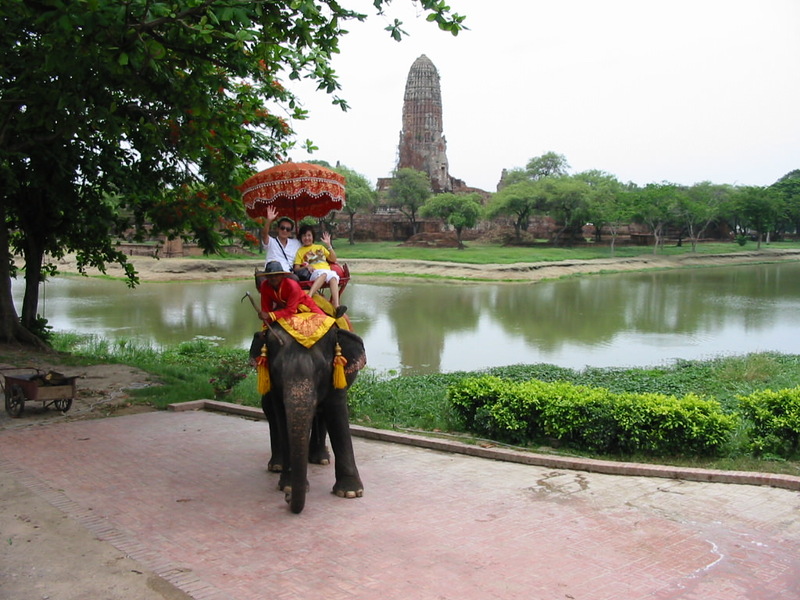 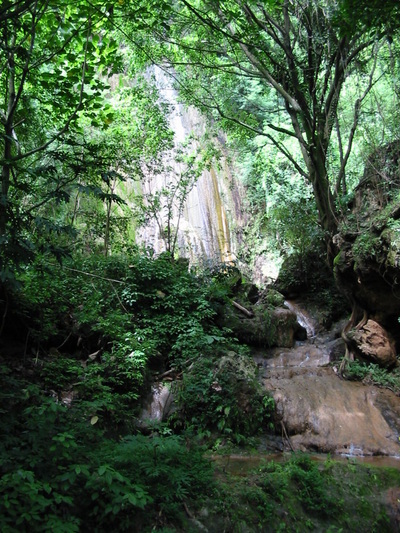 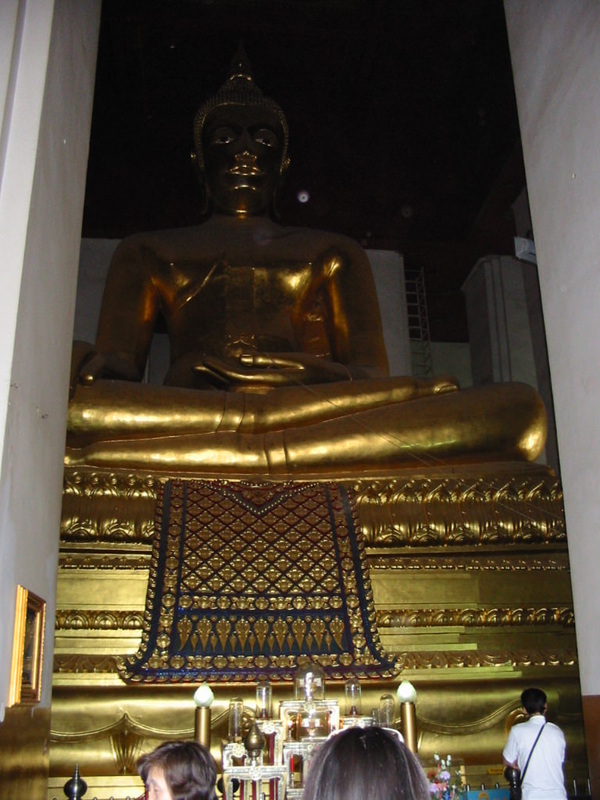 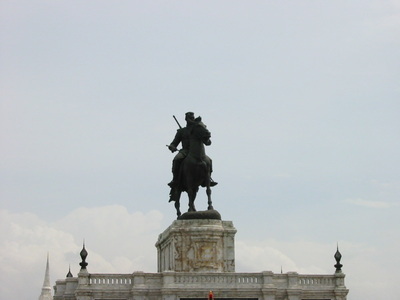 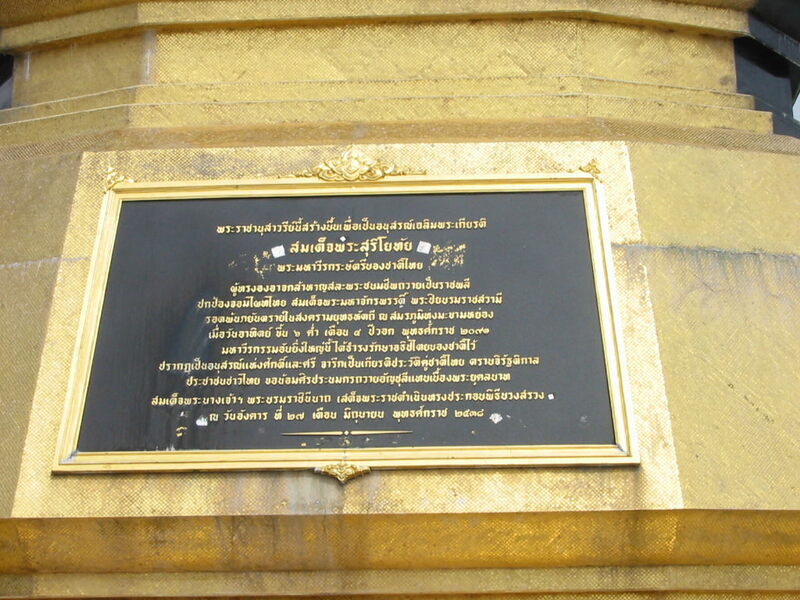 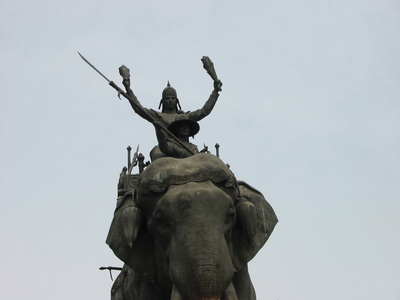 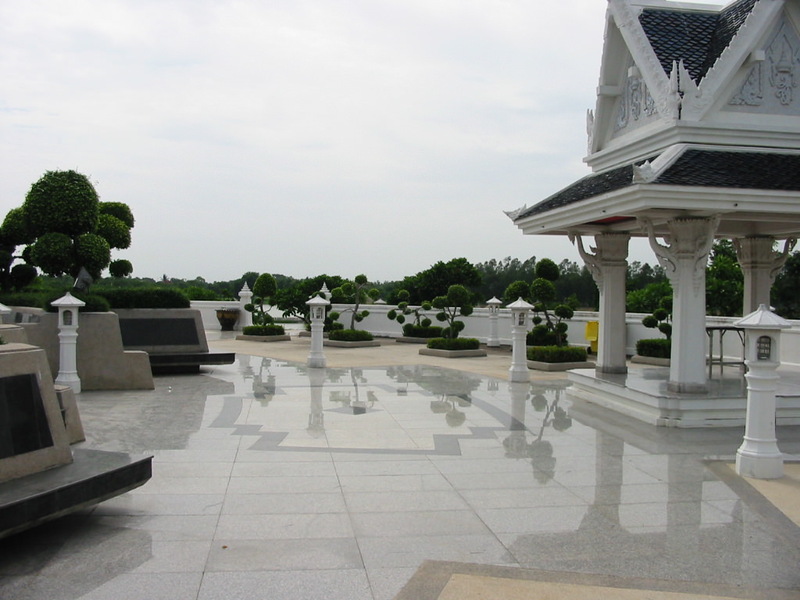 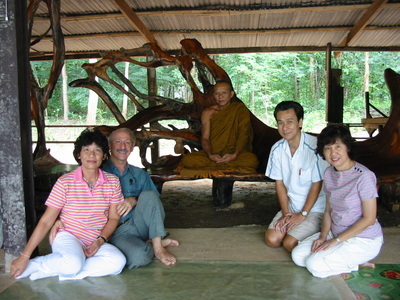 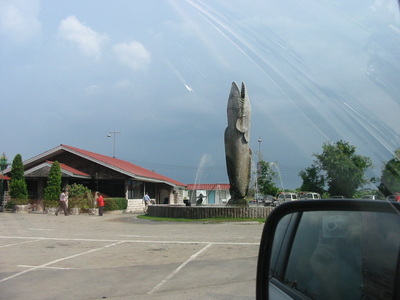 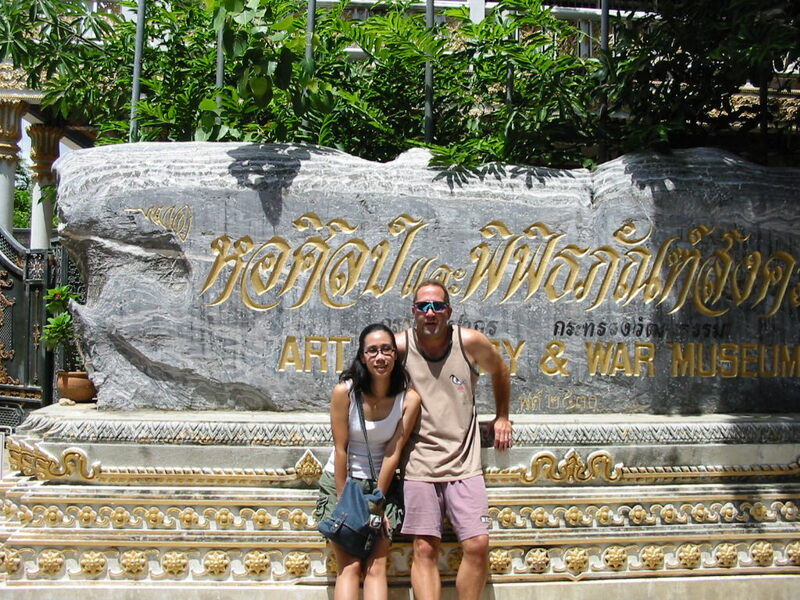 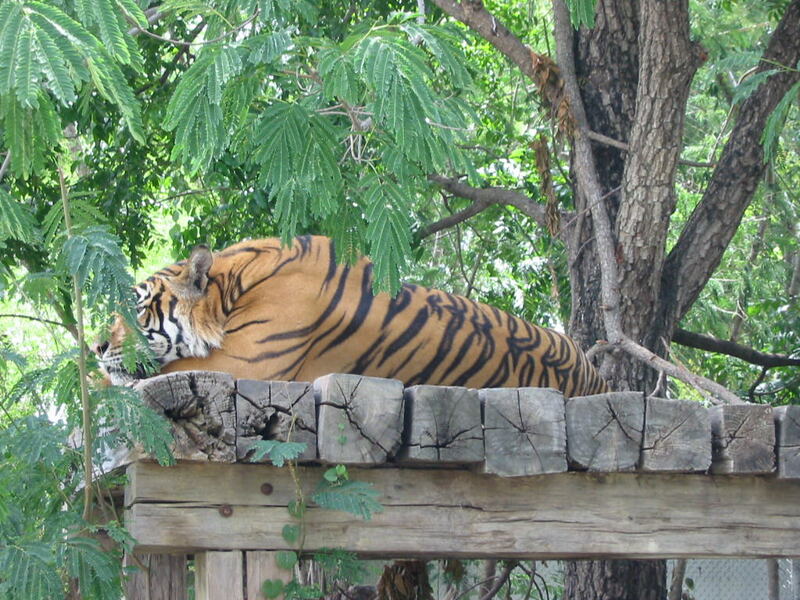 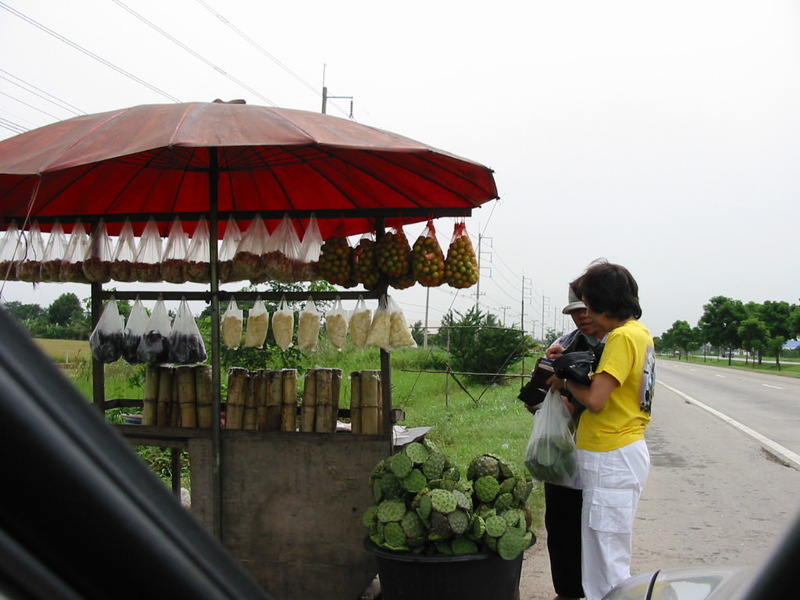 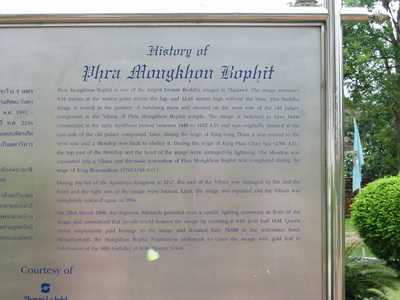 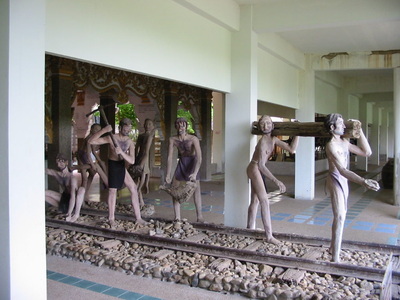 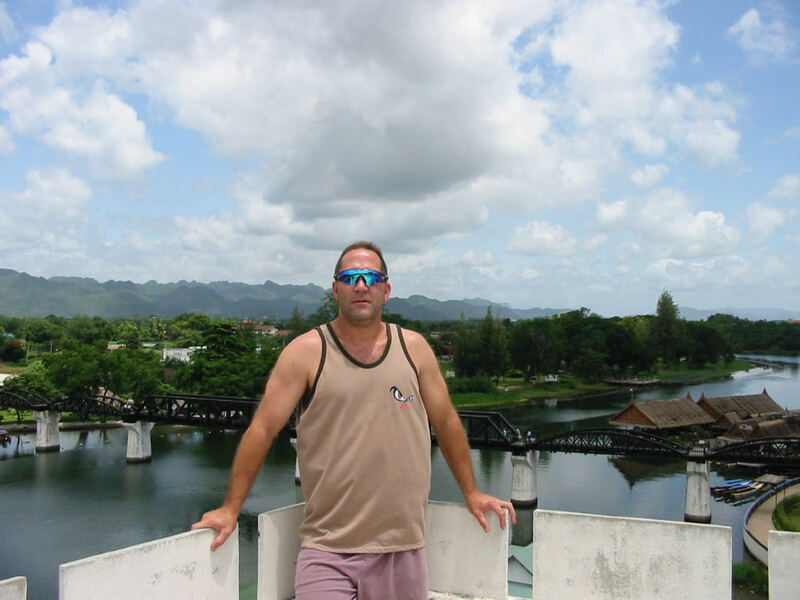 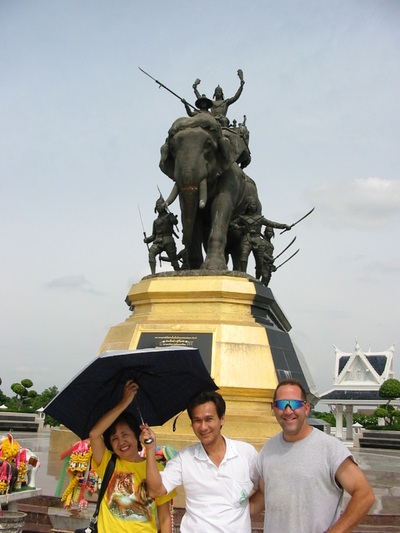 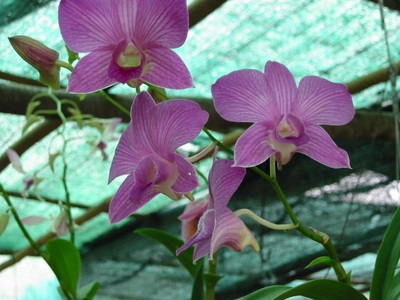 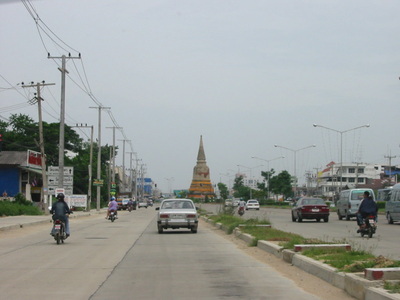 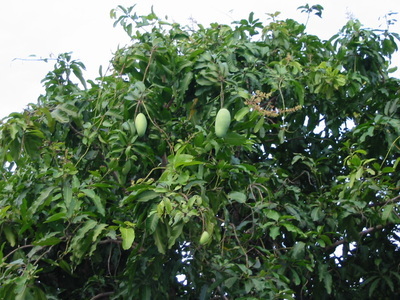 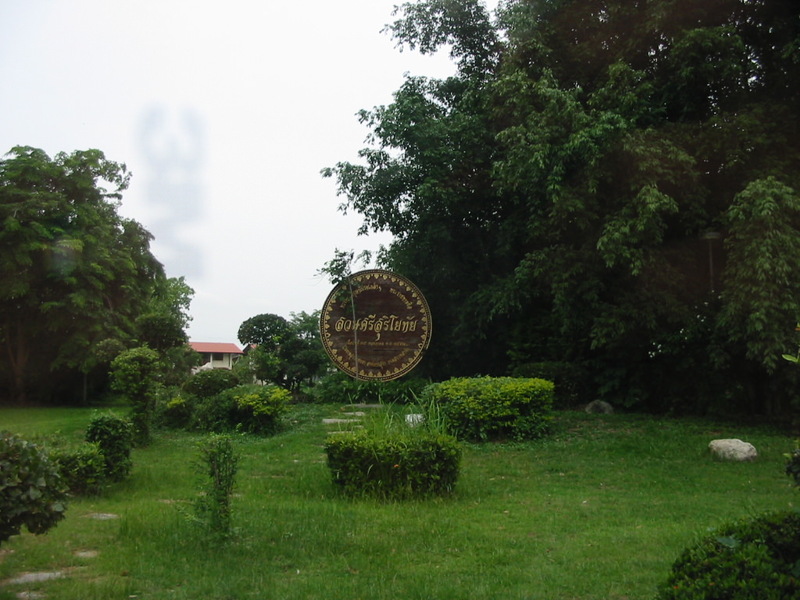 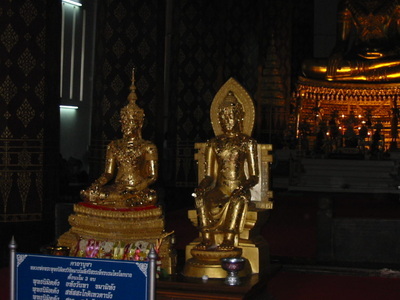 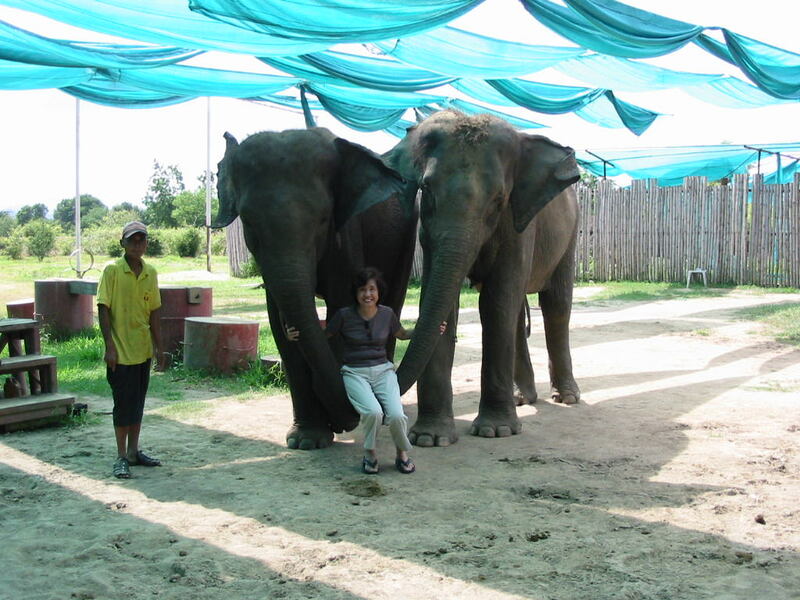 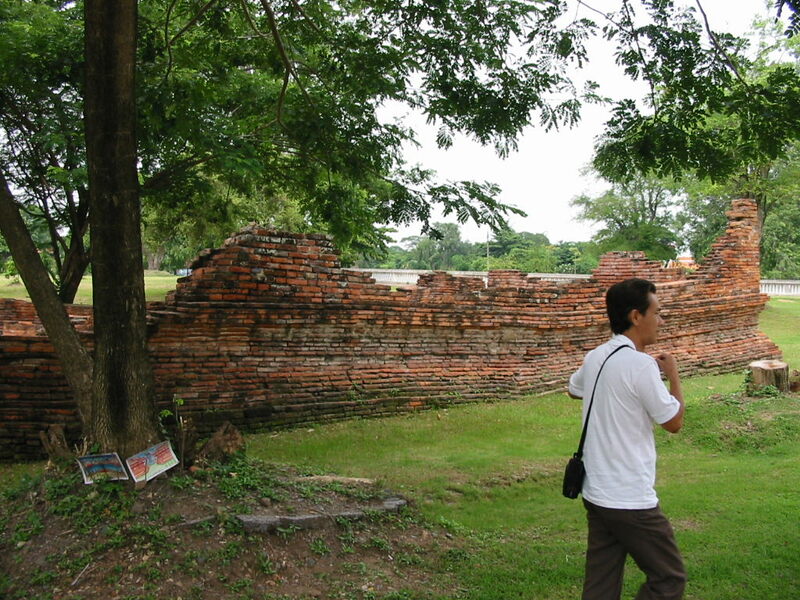 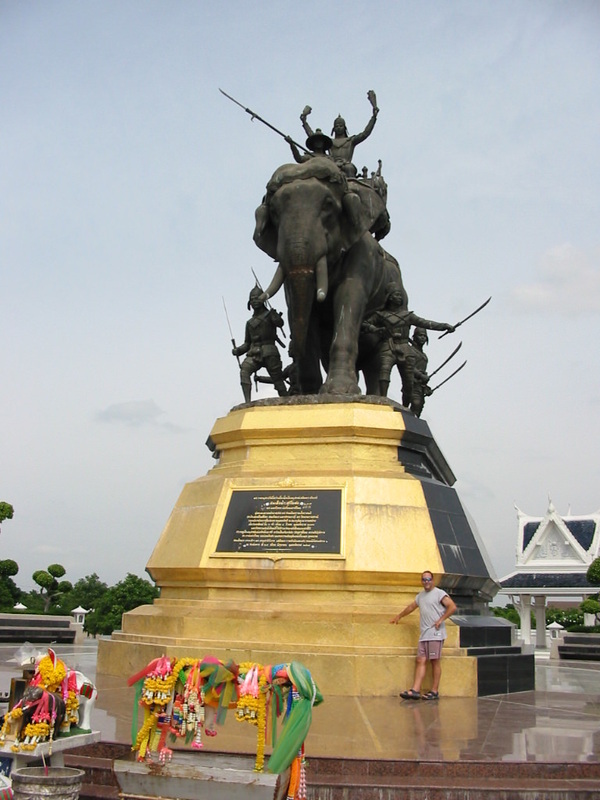 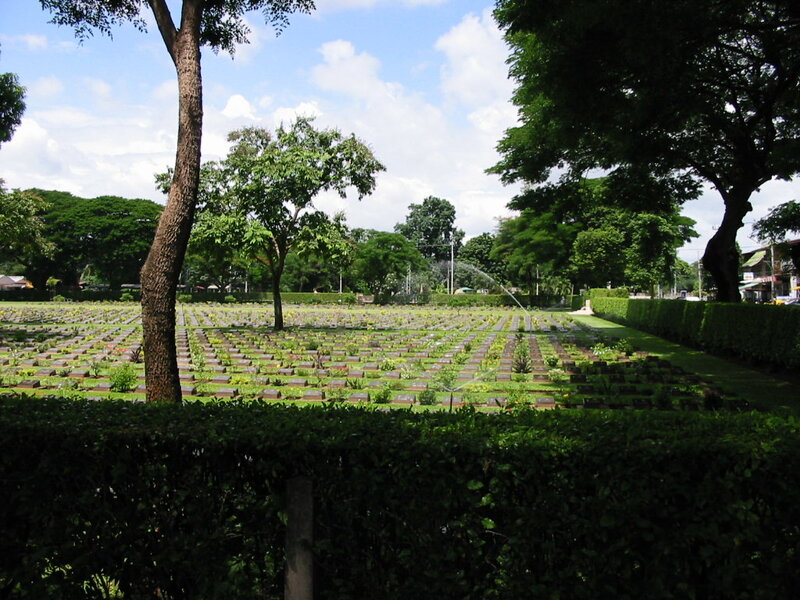 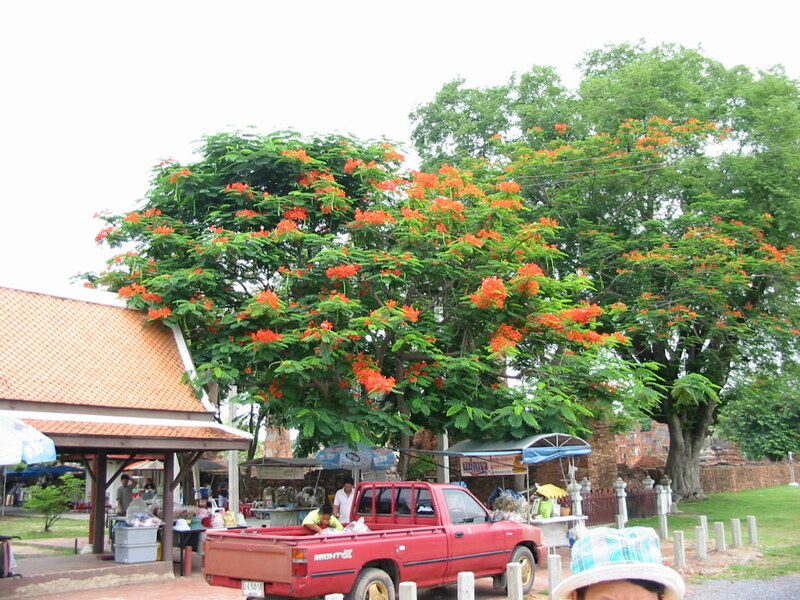 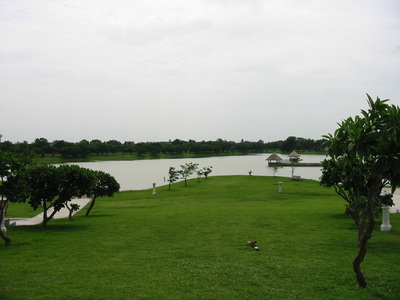 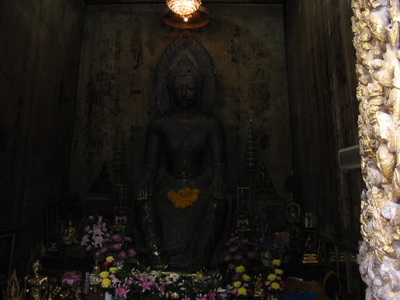 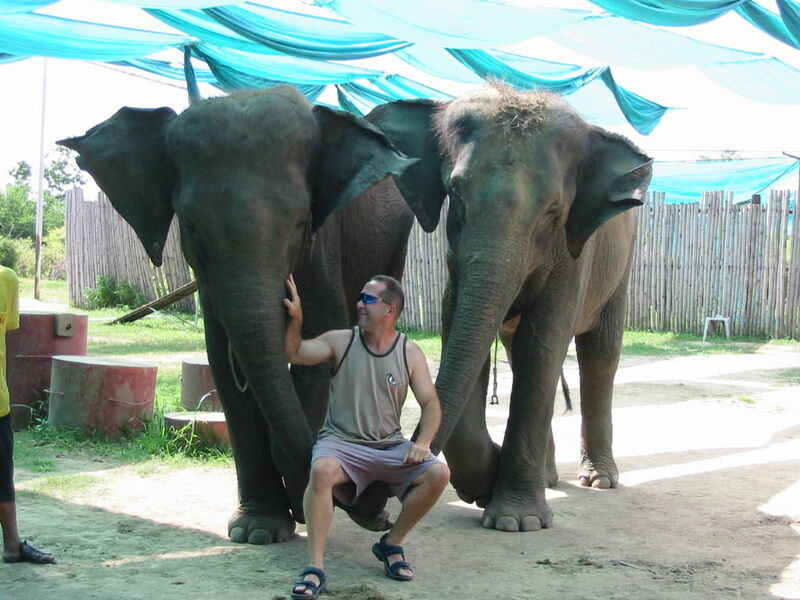 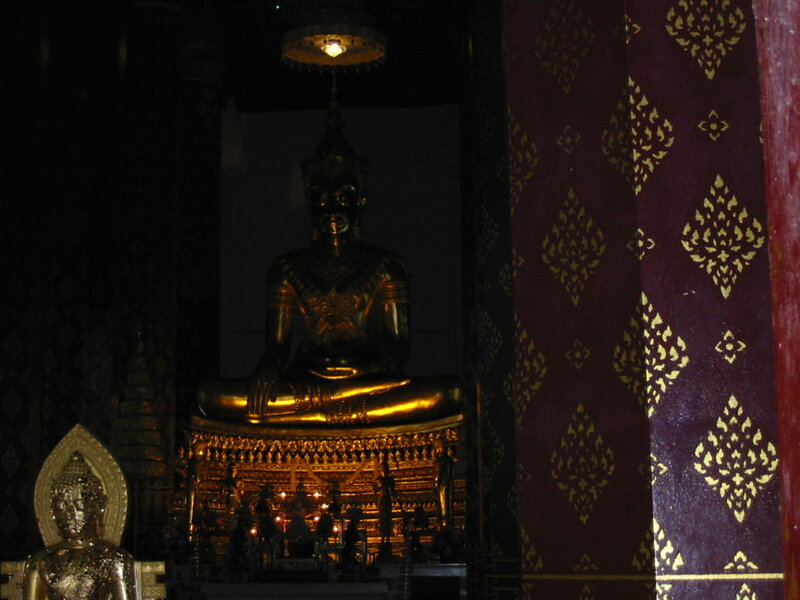 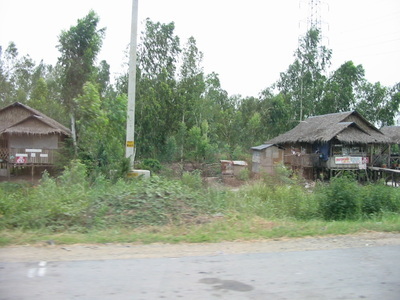 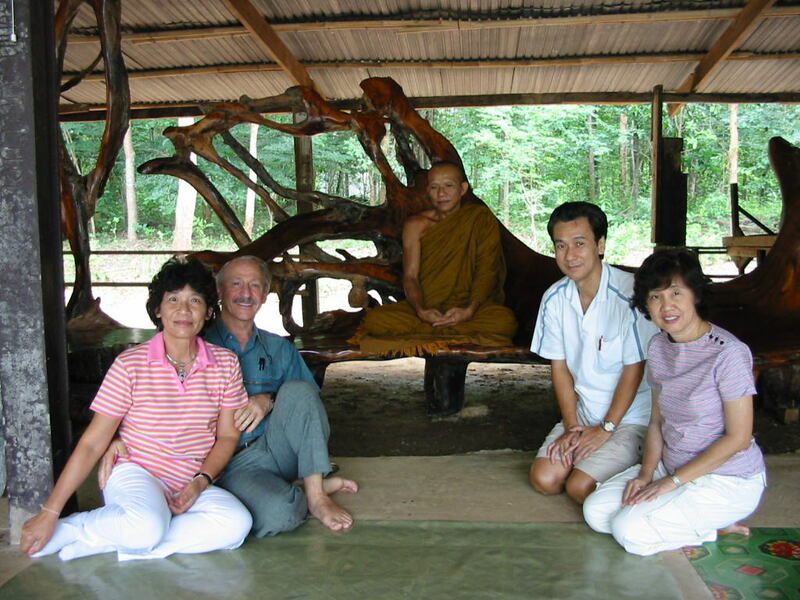 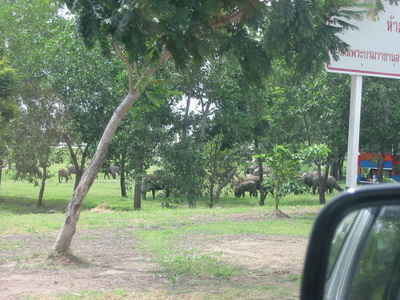 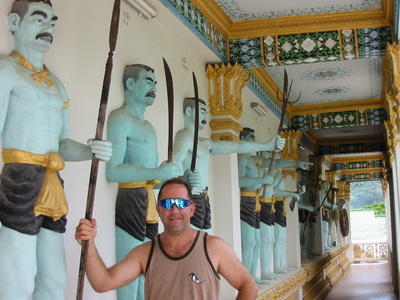 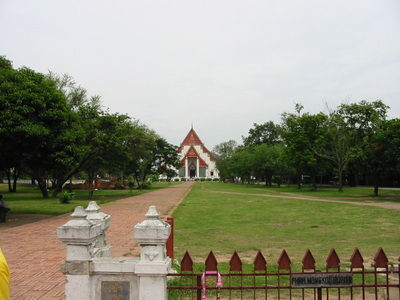 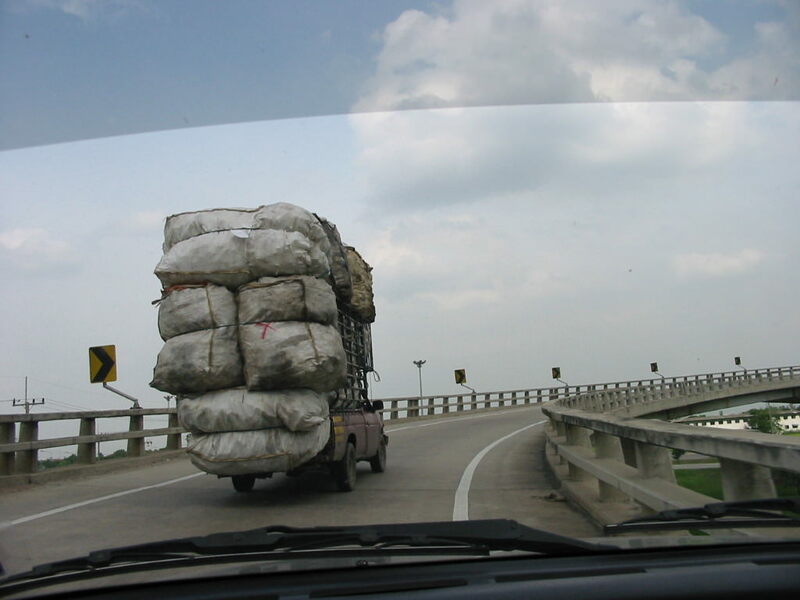 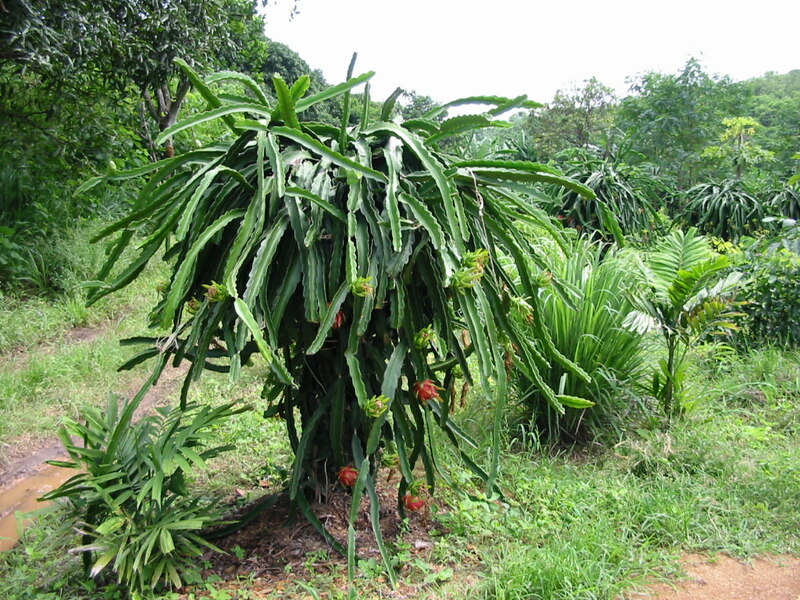 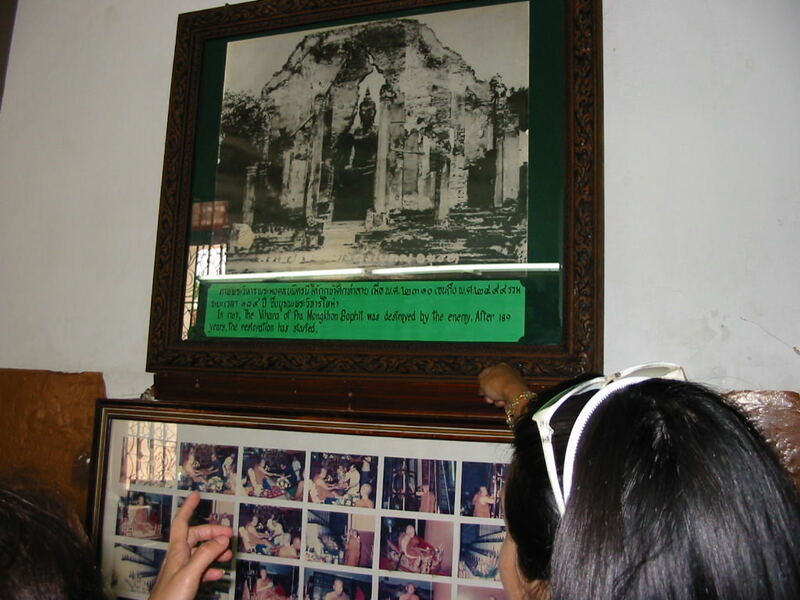 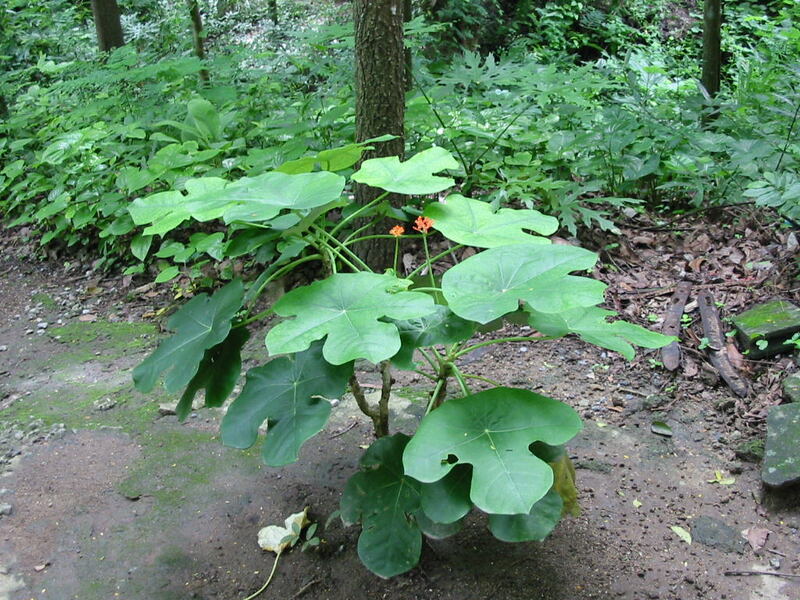 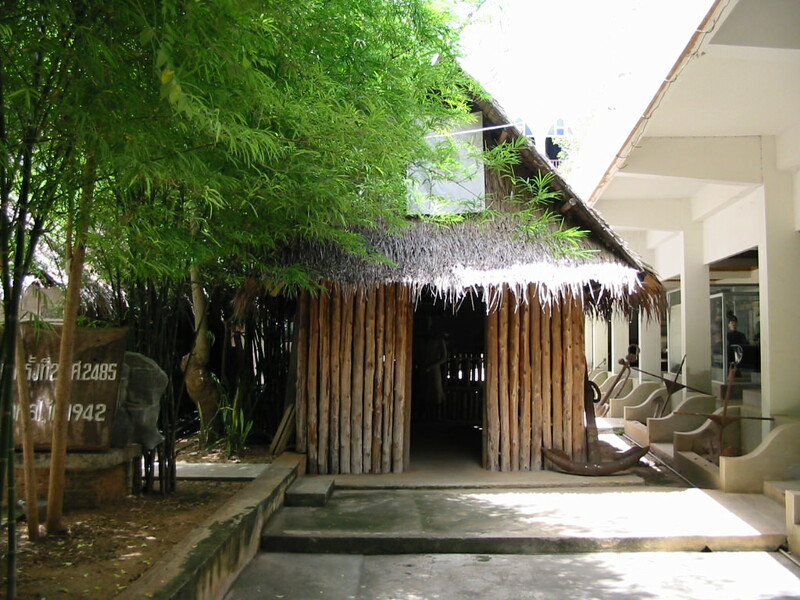 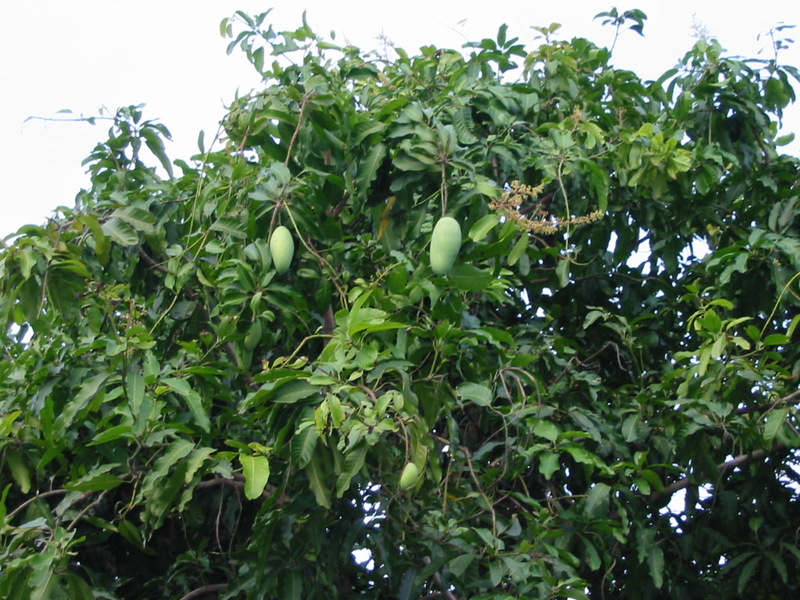 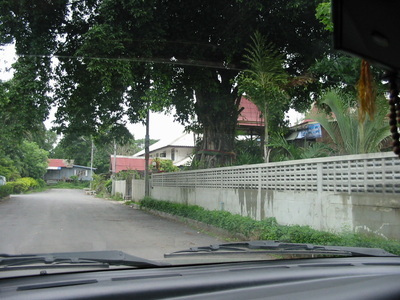 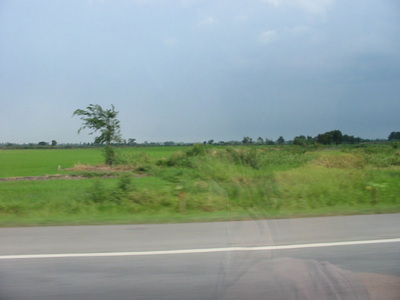 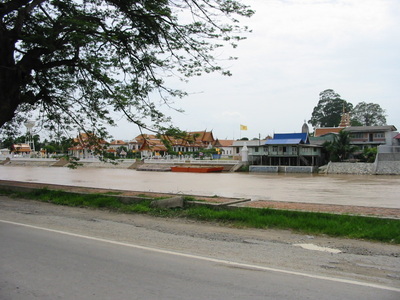 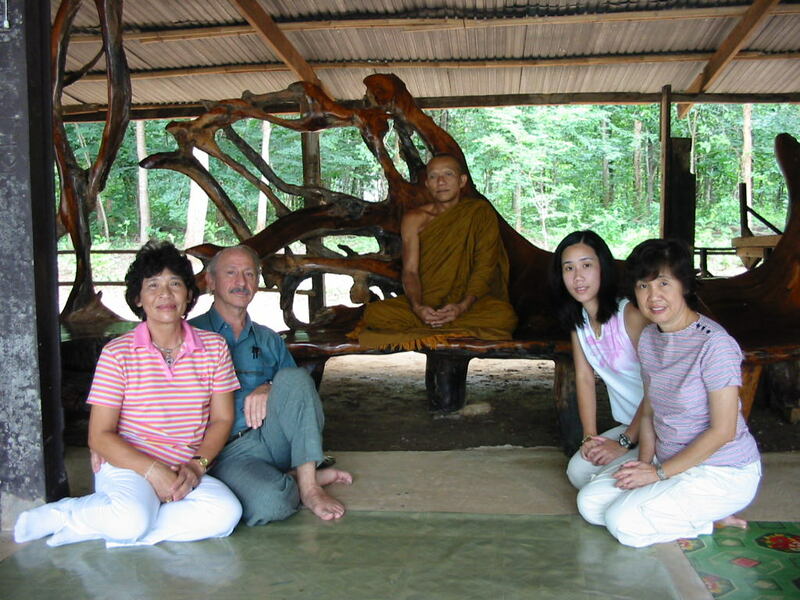 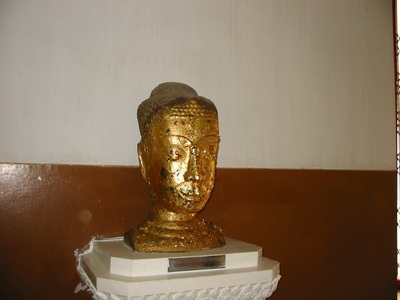 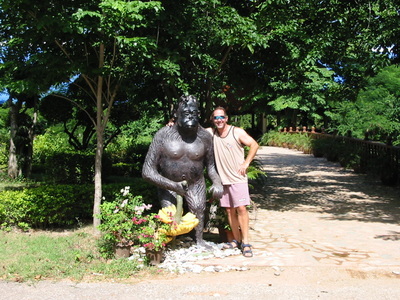 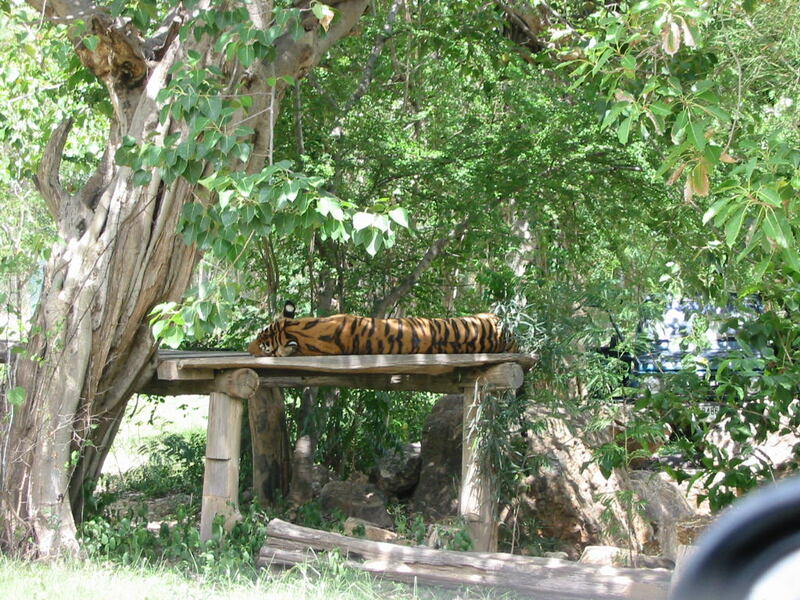 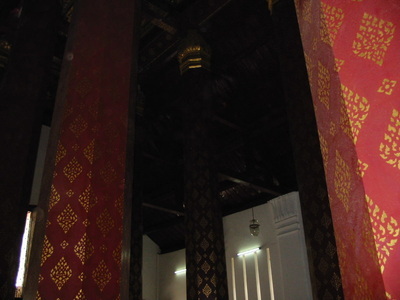 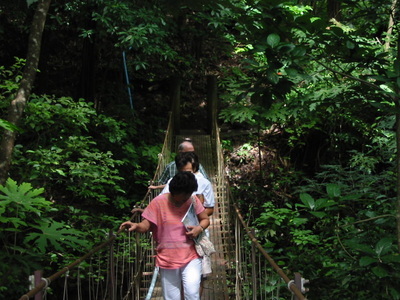 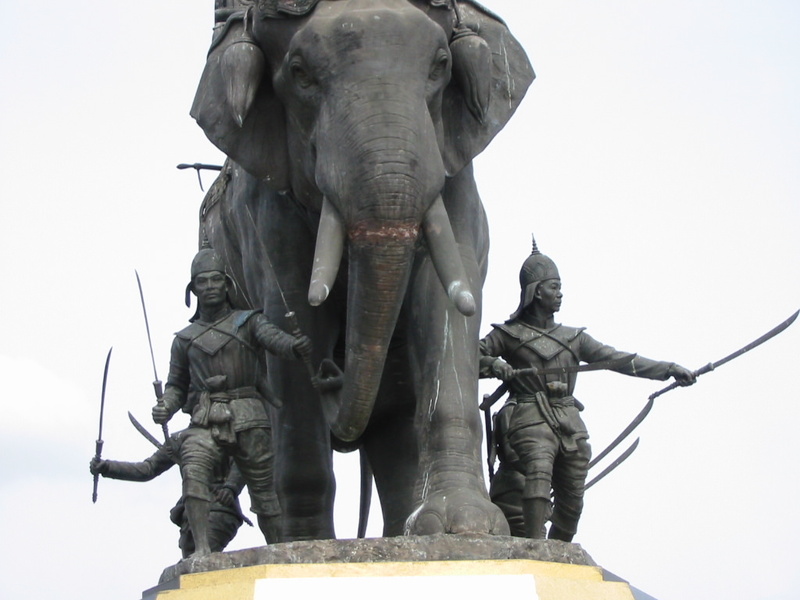 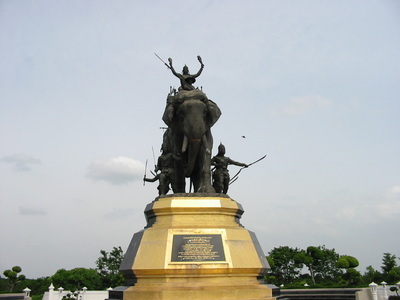 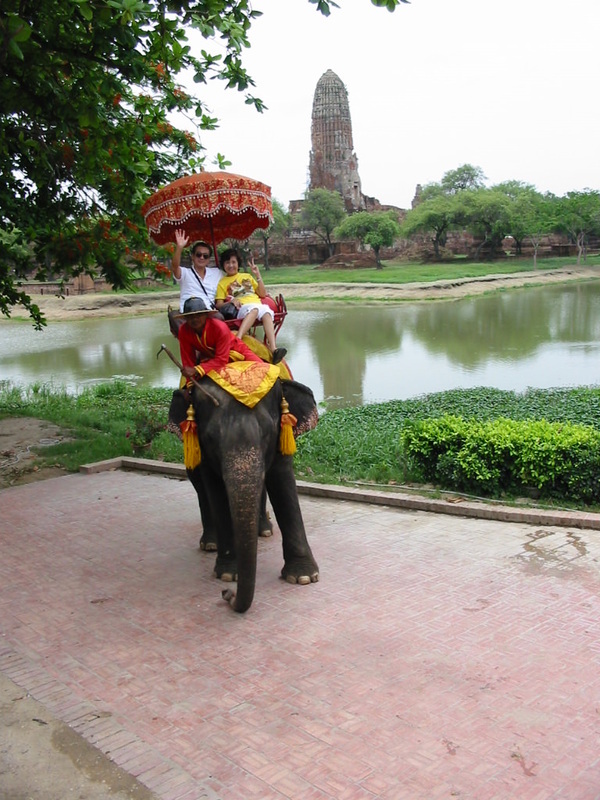 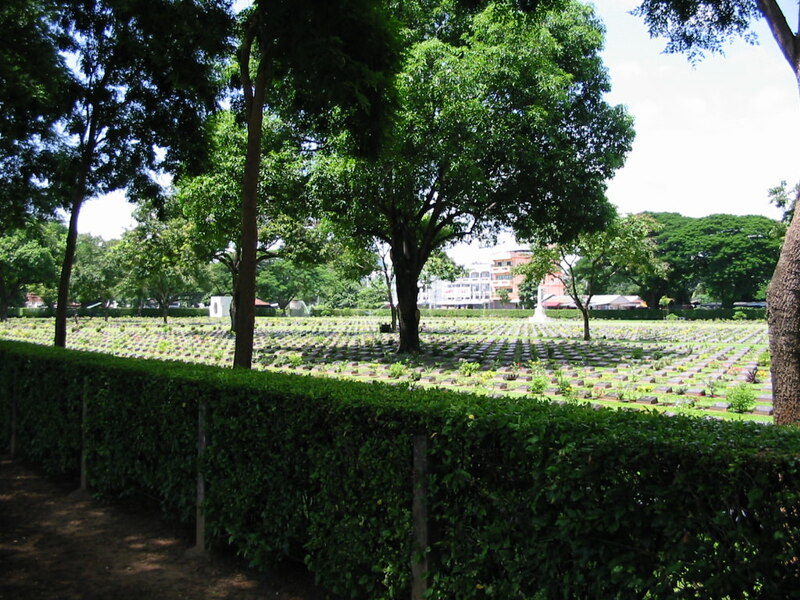 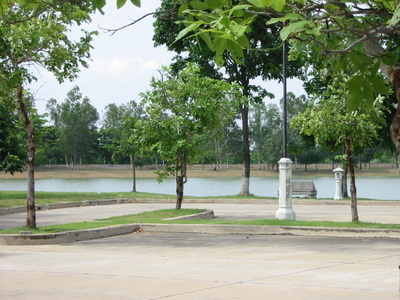 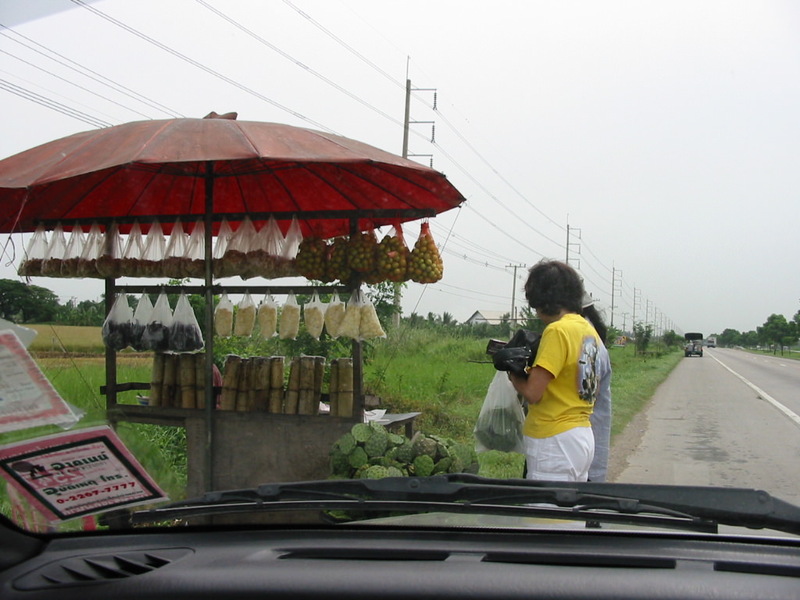 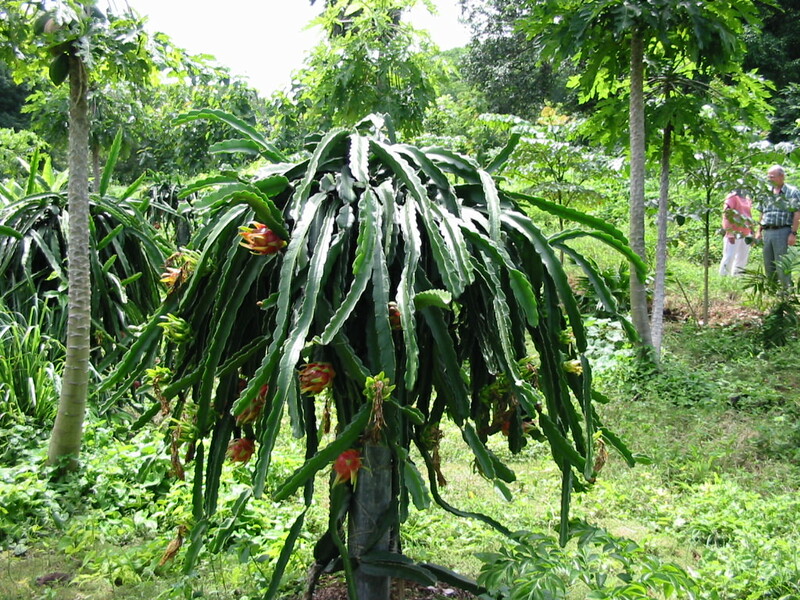 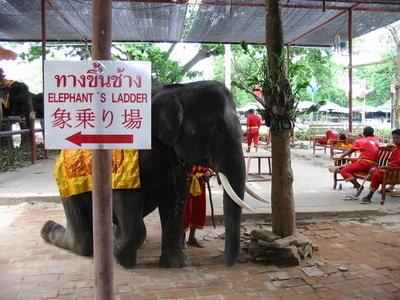 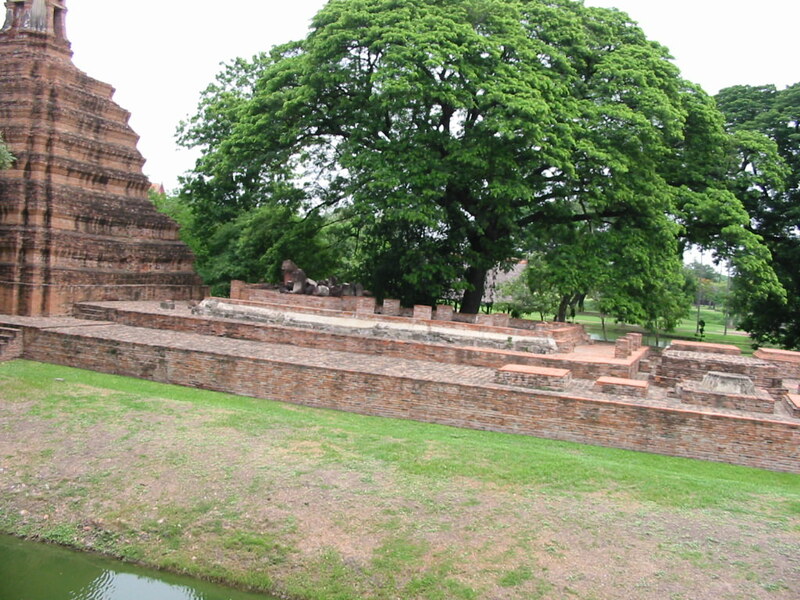 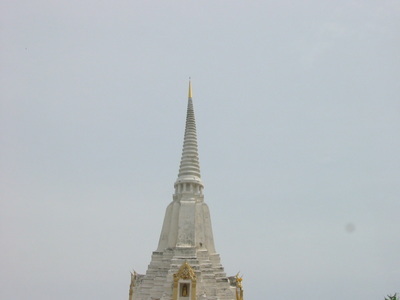 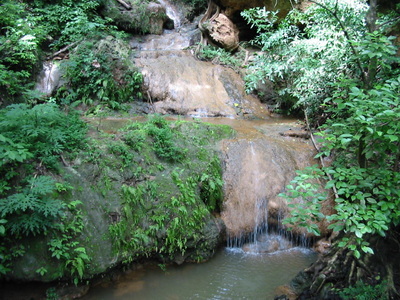 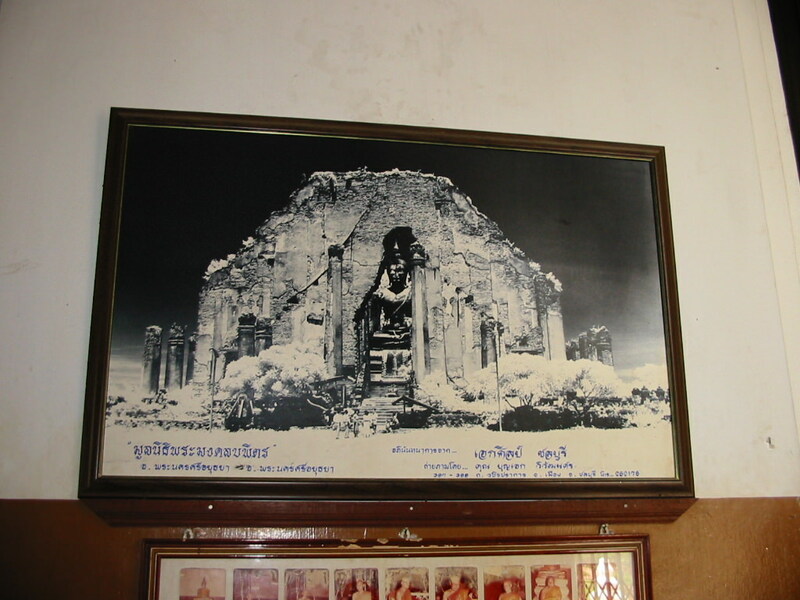 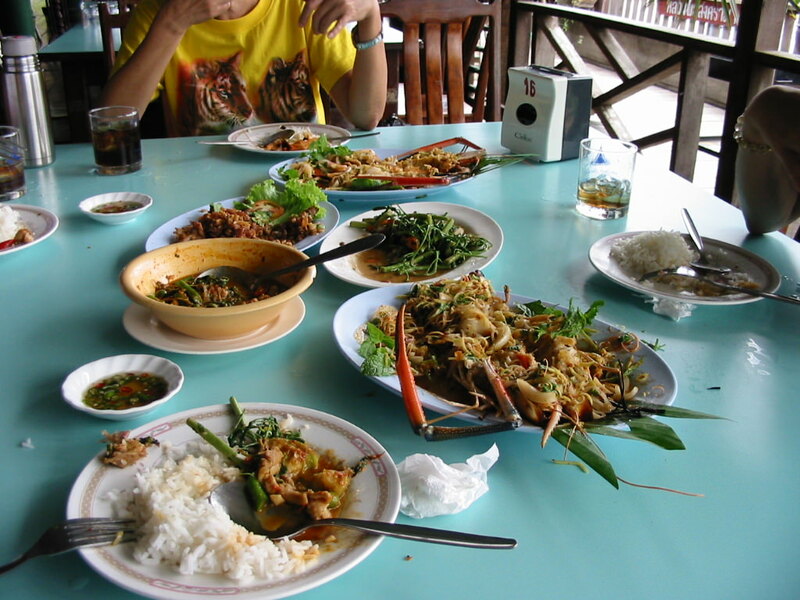 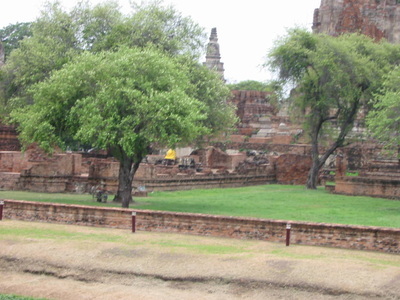 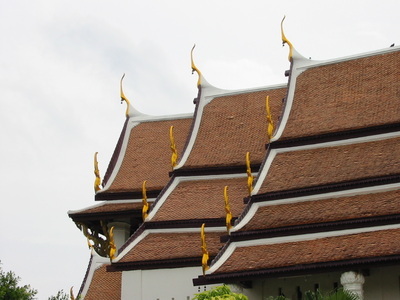 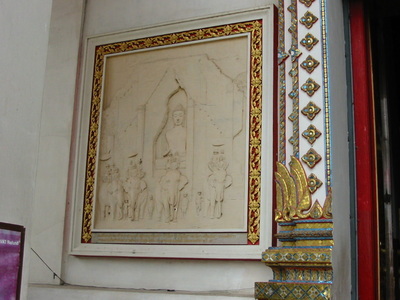 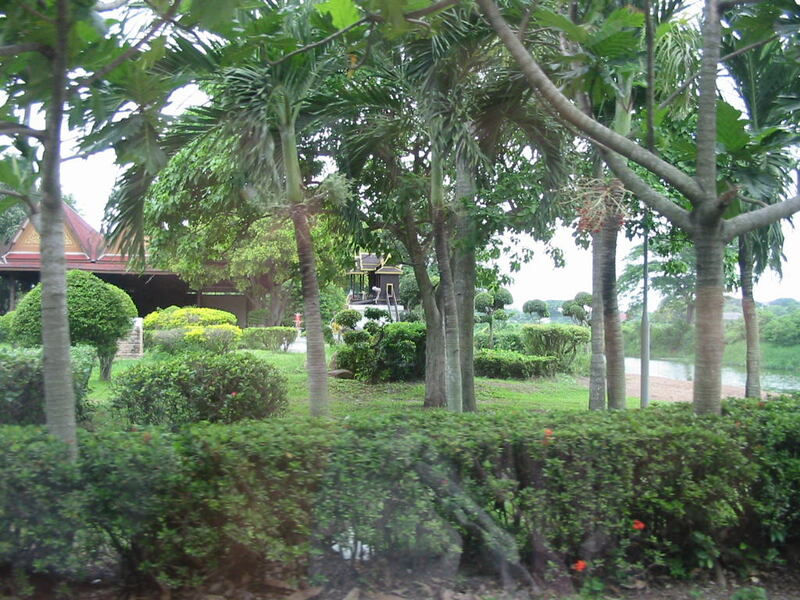 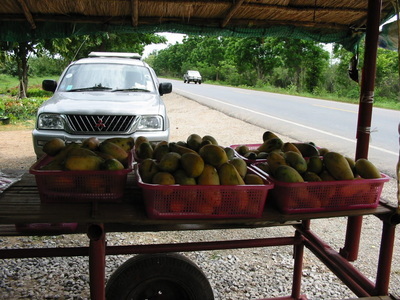 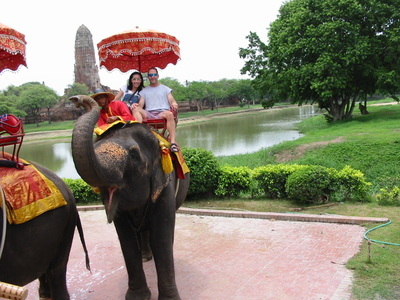 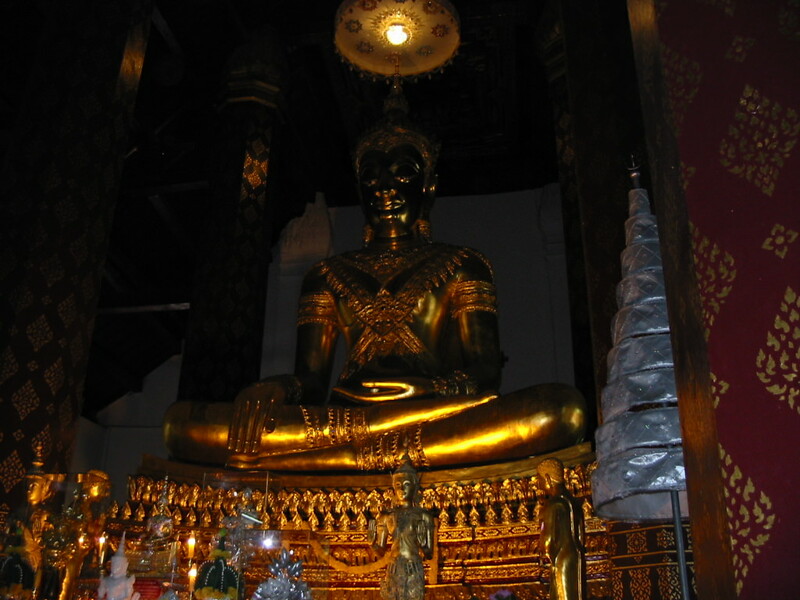 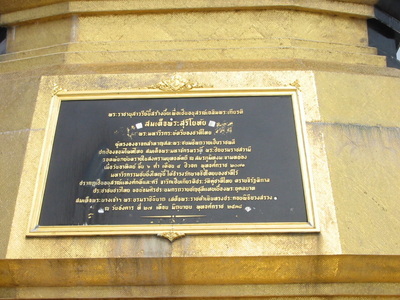 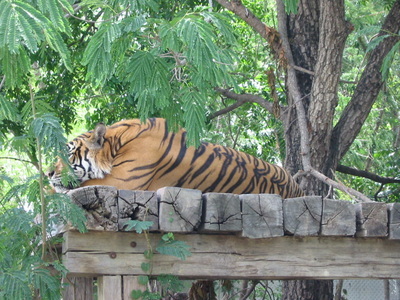 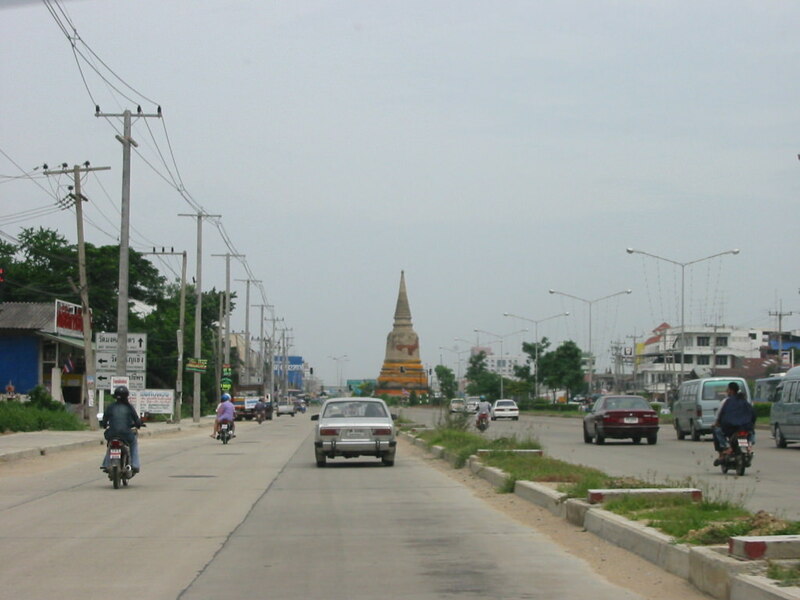 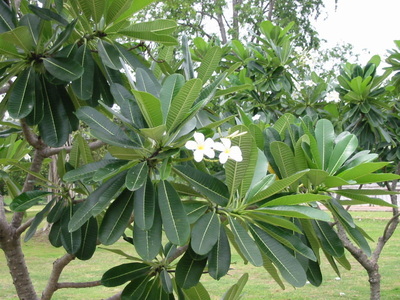 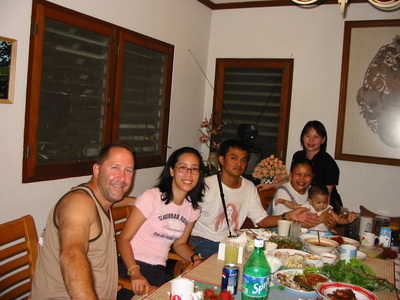 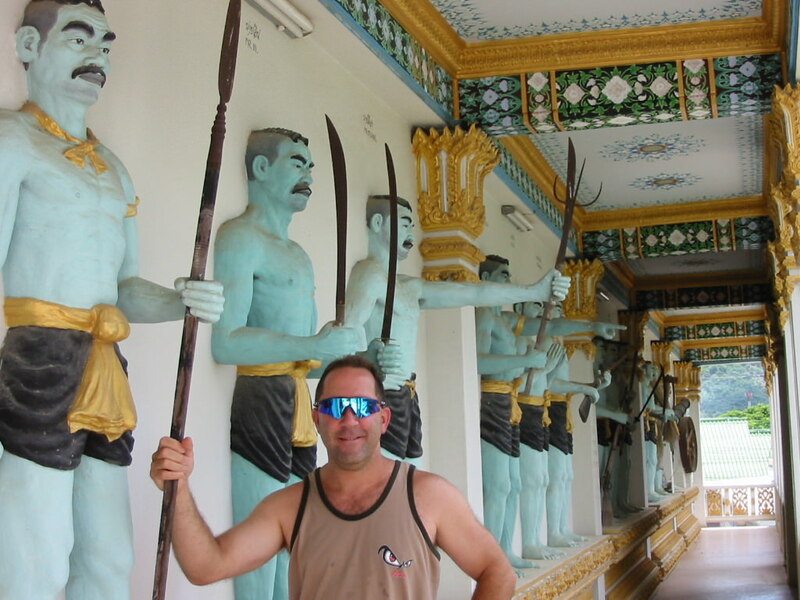 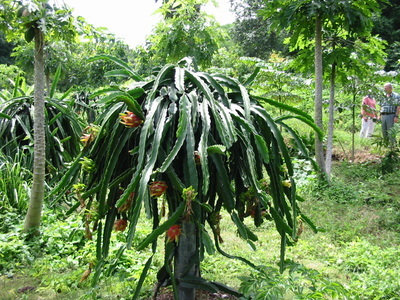 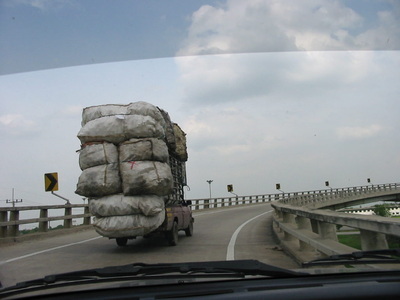 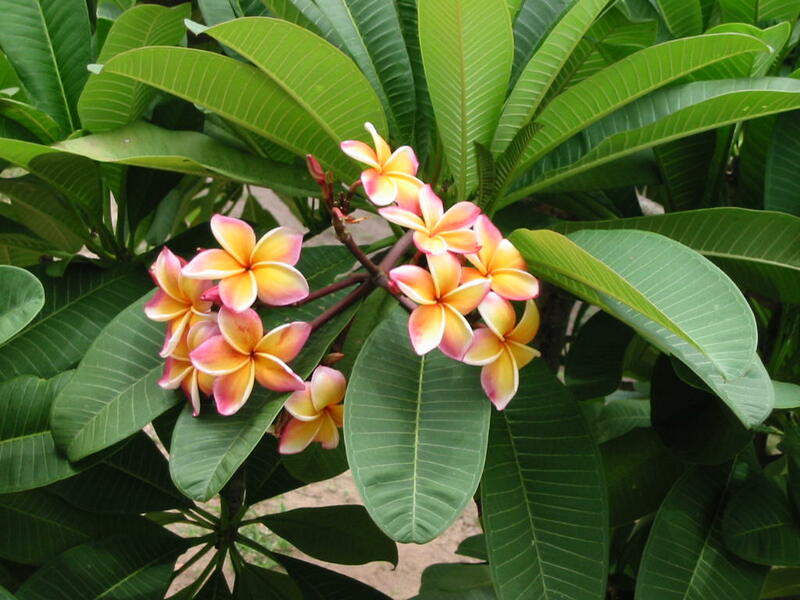 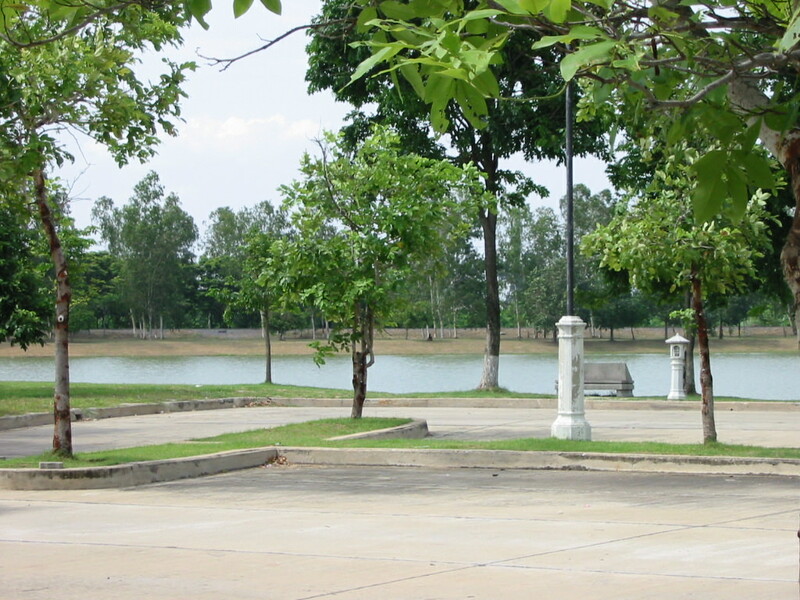 My 2004 blog covers the details but these pics cover Ayutthaya, Kanchanaburi, and Bangkok. This first set of pics is portions of the wedding and reception. 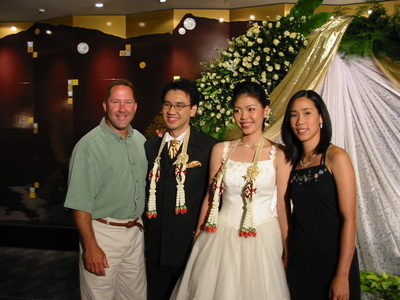 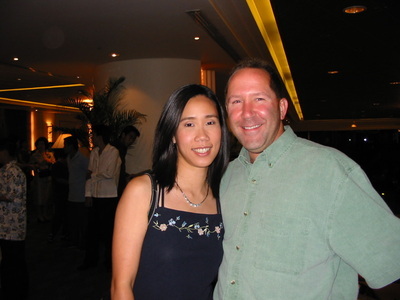 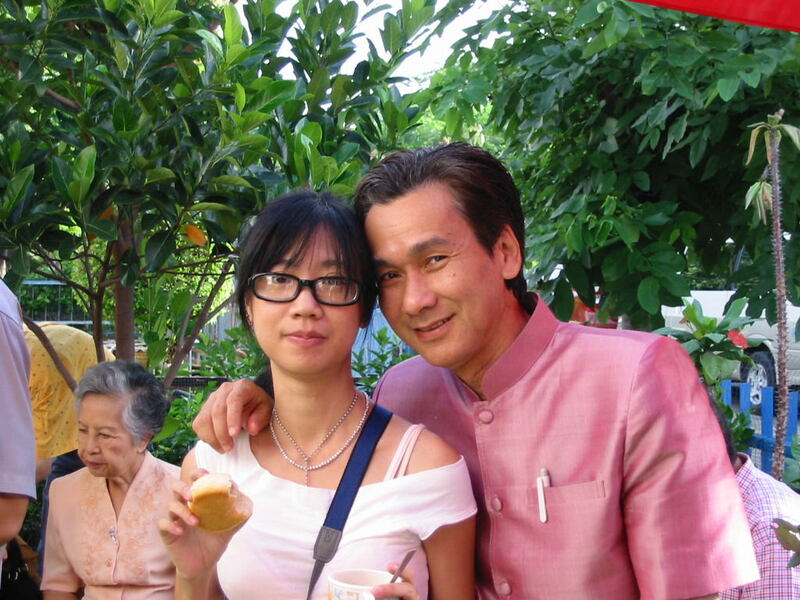 Brother-in-law Binn and his lovely wife Koi. 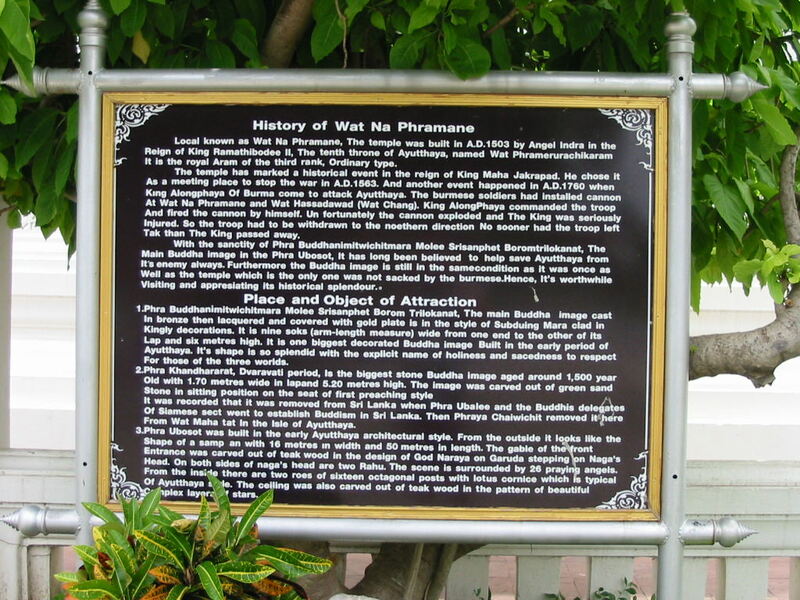 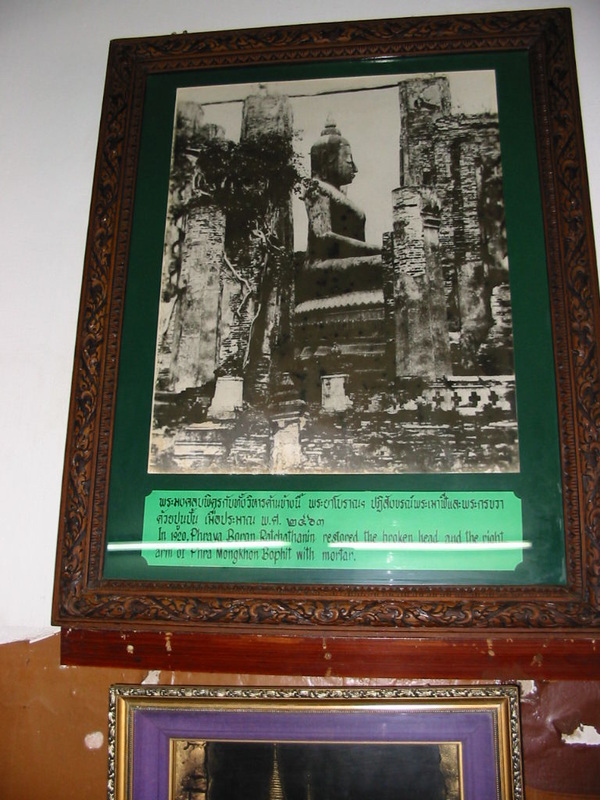 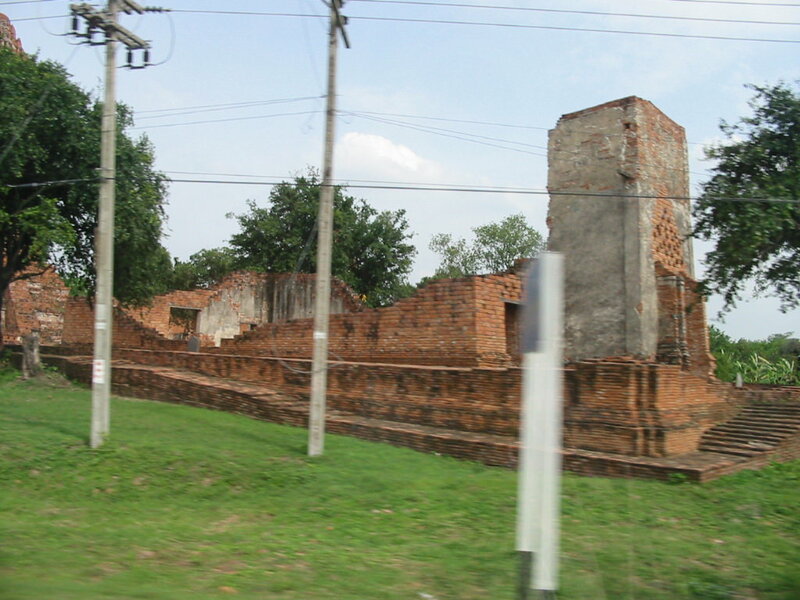 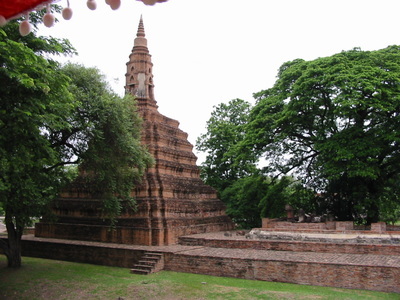 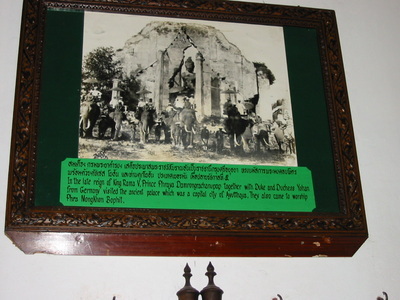 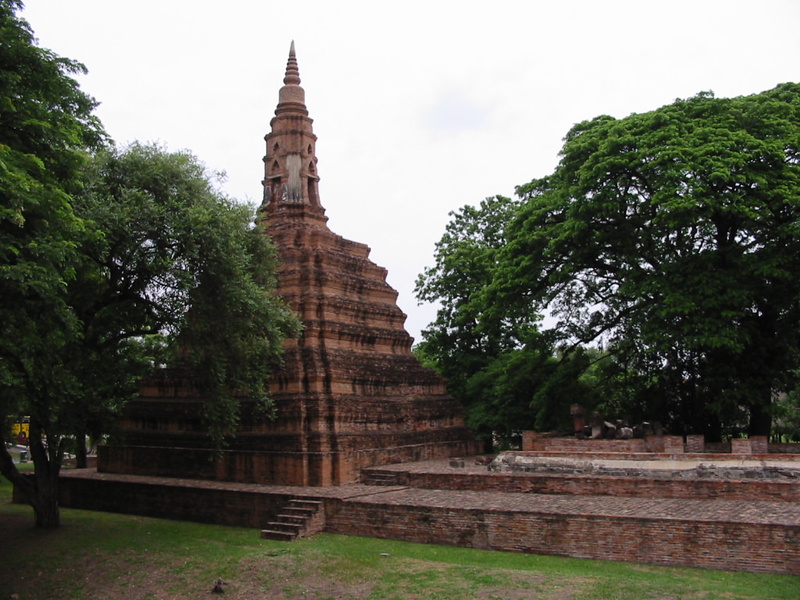 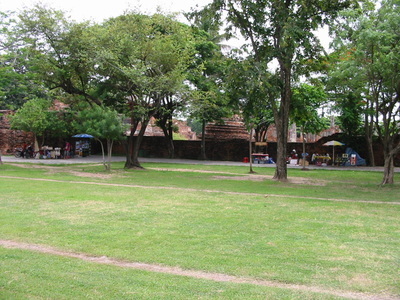 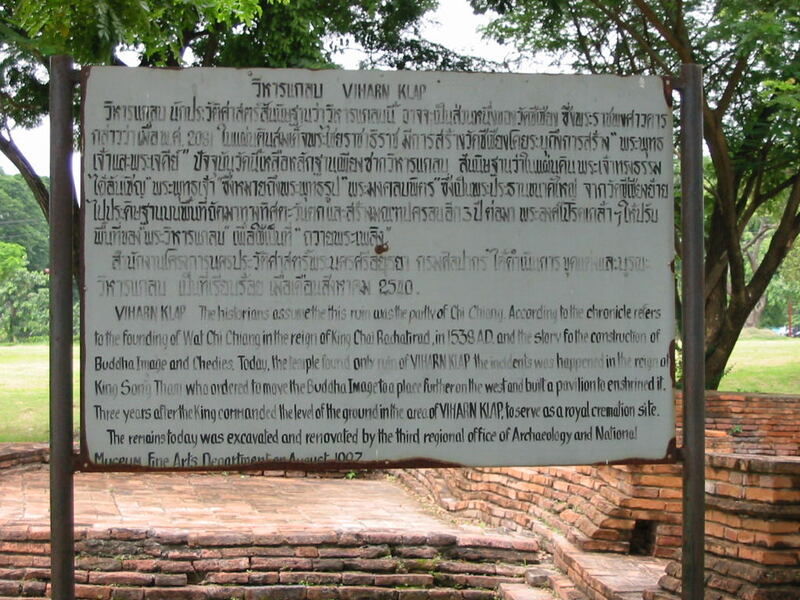 Ayutthaya and area visiting temples and shrine of Siriyothai. 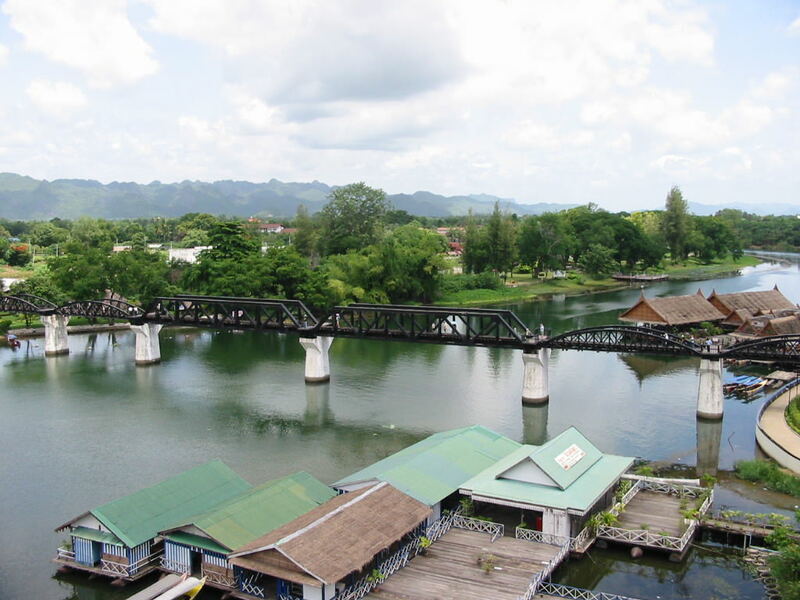 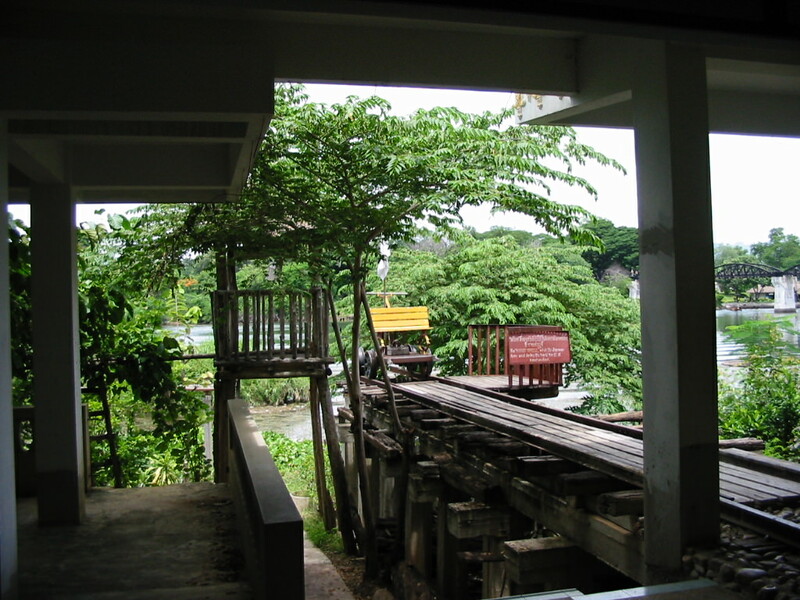 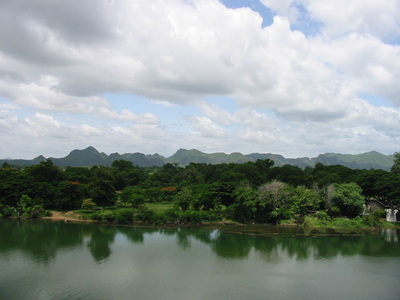 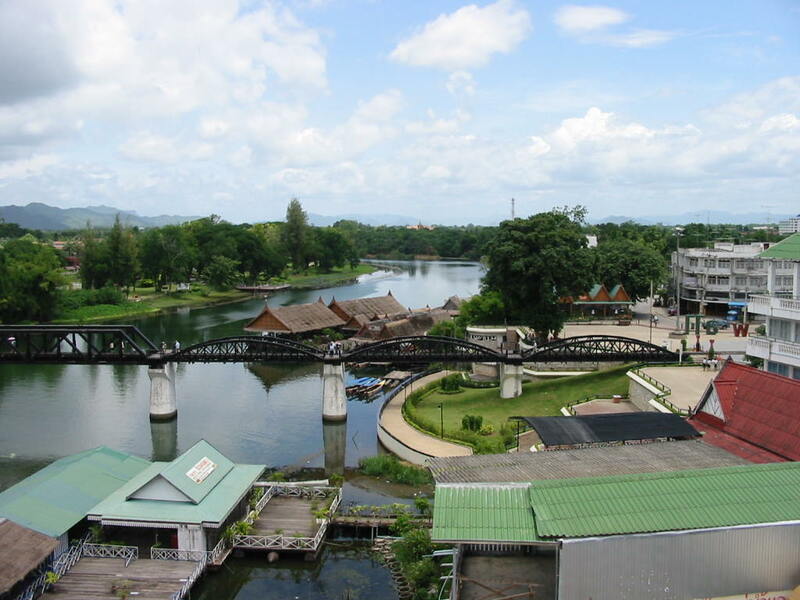 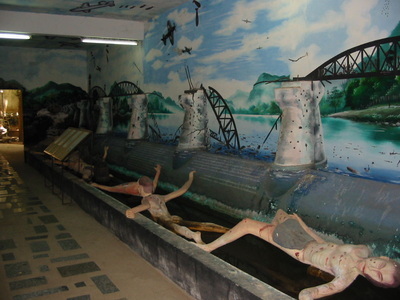 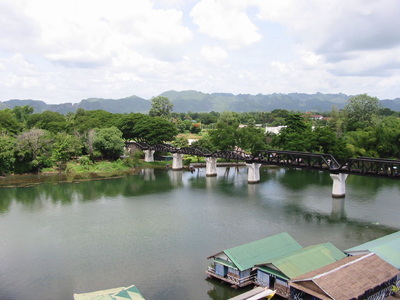 River Kwai Bridge in Kanchanaburi. 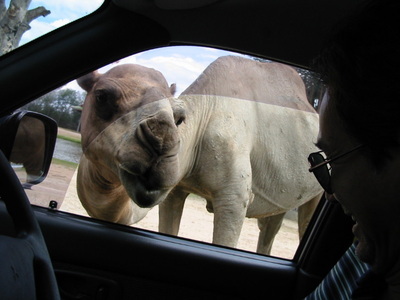 Stopped at some animal park to screw around a bit.